So far this year we’ve set up shop at quite a few sports expos and trade-shows. 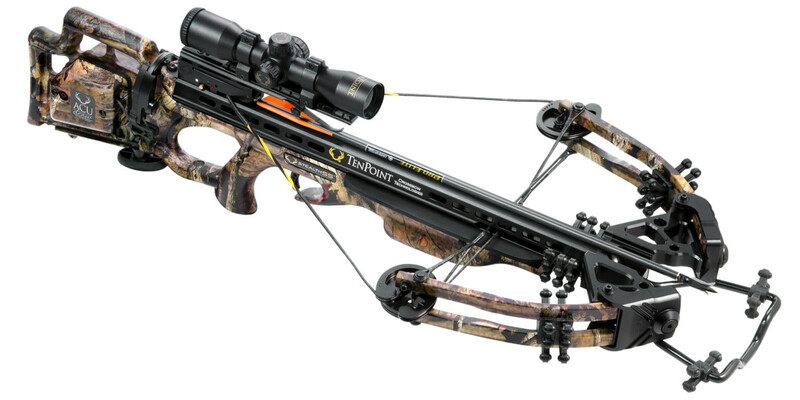 We’ve had the opportunity to see the latest and greatest in traditional bows and camo, but one thing that has been swiftly gaining popularity are crossbows. 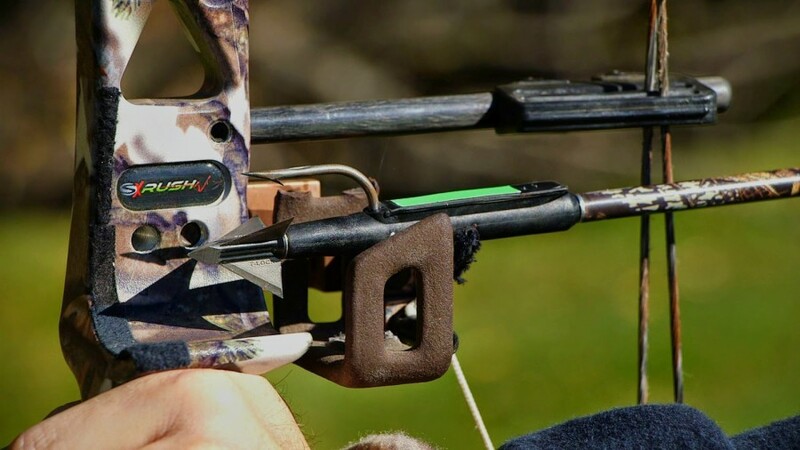 While crossbows were originally designed to assist disabled individuals while hunting, due to their increasing popularity many states are changing their laws to permit their use during the general bow hunting season or during the general firearms season. Another reason people are beginning to love crossbows more and more is their learning curve. Unlike a traditional or compound bow, learning to properly aim and fire a cross bow is much simpler making the learning time much shorter. Add in the fact that they generally have great overall performance and it is not surprising they are swiftly rising in the ranks of preferred hunting methods. Unlike with a traditional or compound bow, there is no need to concentrate on making a full draw while maintaining your aim to make your shot. Once a crossbow is cocked, a mechanism maintains full draw until the trigger is released. This not only conserves energy for the hunter, it allows him to focus solely on his or her target and properly aiming their shot, increasing overall accuracy. Though it is always good to consider the potential for a poor shot, or for nature to rear her head whenever you’re on a hunt. Traditional and compound bows are generally relatively light-weight, making it easier to carry them while you hunt. Unfortunately, while there have been many advances in overall construction to make crossbows lighter, the reality is they are still quite heavy. While all the complex parts and pieces give the crossbow quite a bit of power and make aiming more accurate, it also makes it significantly heavier than a traditional bow. The increased weight also tends to make crossbows much louder, and in a sport where stealth is your friend this is a big disadvantage. Luckily, we noticed at the ATA show this year that manufacturers have been hard at work improving the overall designs and decreasing the weight, making them much quieter. A great example of this can be seen in Ravin Crossbows. Thanks to the mechanical systems in the crossbow, these guys are little, but mighty. While a traditional or compound bow will have a draw of around 70 pounds, crossbows often have draw strengths of at least 100 pounds with some of the newer models slinging arrows with up to 200 pounds of draw strength. This increased strength also means an increase in velocity, allowing your arrows to fly at up to 450 feet per second. Higher speeds and more power also means deeper penetration, increasing your odds of a kill shot. However, you should always be prepared in case you have a poor shot or nature decides to rear her head. With traditional and compound bows, a good hunter will have an incredibly short reload time, allowing them to send off several shots within 1 minute. Since the only requirement to reload a bow is to slip the knock onto your string and draw, you are not only able to maintain aim while reloading but can reload with just one hand. Reloading a crossbow has many more steps. You must set the shaft, pull the draw until it locks, raise your crossbow, sight in your target, correct your aim, then you are able to let off another shot. This more involved process can easily cost you your animal. Crossbow hunting may not be for everyone, but they most definitely have their place. Providing novices, younger individuals, and those who are disabled with a reliable, and accurate, method to bow hunt is amazing. We welcome any additions to our hunting community that allow a broader range of people to experience one of our favorite past times. Though, we do concede it is very important to research the crossbow you wish to purchase to make sure it coincides with your skill levels and abilities. With any luck, more advances can be made in the upcoming year to further improve upon this awesome hunting addition! The weather outside may be frightful, but our annual Top Presents list is so delightful! This year was rife with tons of amazing hunting gear, which made narrowing our list down both fun and difficult, but narrow it down we did. So, if you’re still searching for that perfect present for the hunter or huntress in your life, check out our top picks below to help make sure your aim is true this holiday season! 1. 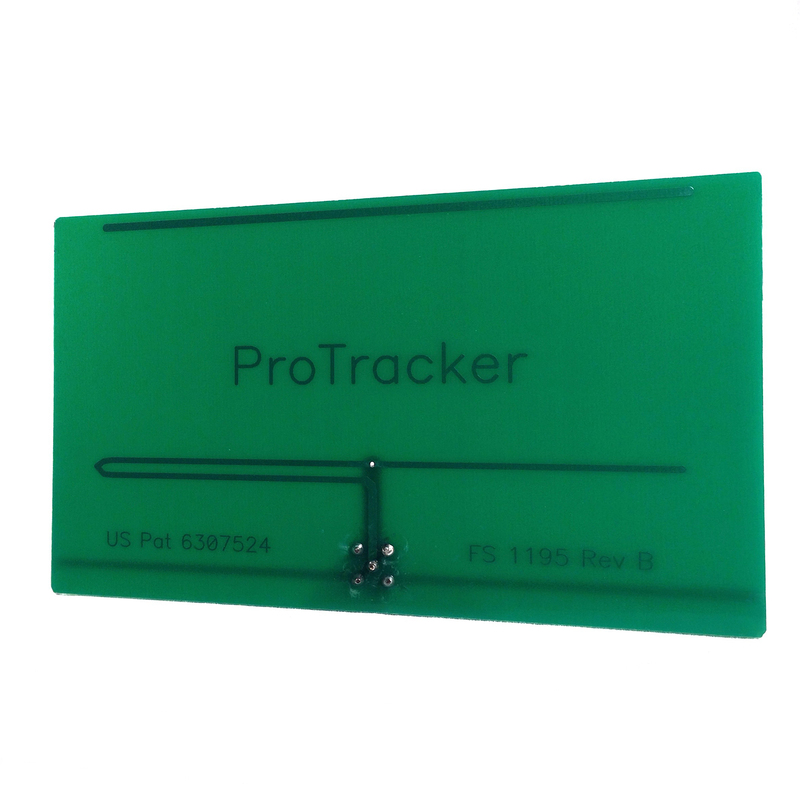 The Pro-Tracker, Ultimate Tracking and Recovery System. Our patented, innovative tracking and recovery system is a must this season for any bowhunter. Not only does our system aid you in tracking your animal if your shot goes awry, the trail runs cold, or the weather turns, but it does so without negatively impacting your shot. Our system boasts an aerodynamic design that allows for the weight of the transmitter to be carried through the shaft to ensure your aim stays true, add to that a 12 hour battery life after your shot, a range of up to 2 miles, rechargeable batteries, and a water resistant transmitter in up to 12 inches and you’ve got a system that will help your hunter or huntress have successful hunts for years to come! 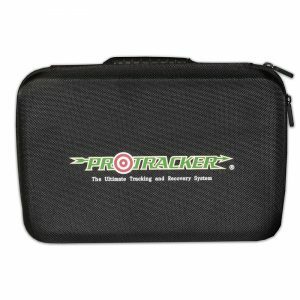 Pro-Tracker, Ultimate Recovery System, $499.99 and up. 2. 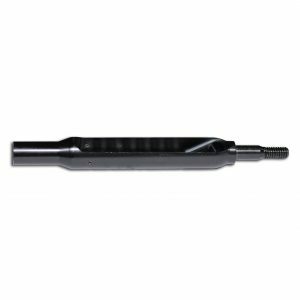 SAS Archery Multi-Wrench Tool. We picked this little guy up at the start of the year and it quickly became a staple in our hunting gear. Not only is this small and compact, but it works amazingly well either at home or in the field for those last minute adjustments. Plus, with a price so low you really can’t go wrong with it as a thoughtful but inexpensive gift, or a great stocking stuffer. Amazon, $6.99. 5. Outdoor Edge Game Processor Kit. Every hunter needs a great set of knives in order to field dress their animals, and this one gives you a quality at a great price. Since it comes in a nice, sturdy case, you can toss it in your vehicle or strap it to your pack without worrying about damage. We do recommend hand-washing though, so make sure to keep that in mind when you purchase this kit. Amazon, $55.42. That’s our list for this year, we hope you guys like it! We also wanted to take a minute to wish each and every one of you a Happy Holiday Season. May the upcoming year bring you great joy, great laughter, and some great game! If you’ve been reading our blog for awhile, you guys are probably aware of our love for turkey. If not, we here at Pro-Tracker LOVE us some wild turkey. Homemade turkey bacon, turkey burgers, turkey jerky; chances are if anywhere in the contents it include wild turkey we have at one point or another tried to stuff it in our collective faces. That being said, one of our favorite traditions is going on a fall turkey hunt for our Thanksgiving turkey. Unfortunately, when you tell your family you’re going out to bring home a key aspect of your holiday feast there are expectations that you will, in fact, bring home a beautiful bird. This pressure can sometimes throw you off your hunting game, but fear not friends. We here at Pro-Tracker will help save the day by offering you our Top 5 Fall Turkey Tips to help make sure you’re bird is the highlight of this year’s fantastic feast! 1. Charge that Pro-Tracker! Did you know that you can even use our Pro-Tracker, Ultimate Recovery System on small game, like a turkey? Well, you certainly can! This is incredibly helpful in case you get in a bad shot and your bird takes flight, or as tricky turkeys often do, launches into the air or speedily flees into some heavy coverage brush. No one wants to come home empty handed because they had a bad shot and their turkey had little or no blood to follow. 2. Do not underestimate the need for scouting. Pre-scouting in the fall is an absolute must. As there is less food, the flock will need to cover a much broader area in order to find sustenance. Turkeys as a whole are often a lot quieter in the fall as well, so knowing what to look for is important. You’ll want to keep a keen eye out for turkey scratching, feathers, and droppings. The more scratching, the more likely that that area is frequently traversed by the flock and would be a good place to set yourself up. 3. Do not underestimate the power of calling. Especially in the fall, a lot of people tend to rush in and break up groups of birds, similar to flushing out a pheasant, in the hopes that the birds will go in all different directions and then slowly trickle back to your location to regroup. While this can work, it’s tricky business and doesn’t guarantee that they birds will break properly or that they will actually return to your location. Rather we’ve found that if you exhibit some patience you’ll have much more success. Set up in a good location, where you’re hidden but still have a clear view of an area where there is evidence of a flock, and just begin to call. Make sure to start your call off in a plaintive manner and then try to match the tone/cadence of any responses to be extra convincing. Chances are it will draw some birds into your area. Don’t shoot the first ones though unless they look like a winner; since turkeys like to flock where one turkey goes, others are soon to follow. 4. Embrace the dummies. Turkeys are a bit odd in that they like to flock, but are also quite territorial and a bit aggressive. This means that once you shoot a turkey, the likelihood of another turkey hopping on top of them like they are playing ‘king of the mountain’ is pretty high. Play off of this aspect of their nature by placing a few dummies out in prone or weakened positions on the ground. Once your birds come in from your amazing calls, there is a good chance one or two will set up camp on top of your dummies and will also help to give you a great shot. 5. Aim for closer range and use the right tip. Using a blind can be helpful this time of year, especially because if you want your best chance to hit your bird you’re going to want to be within around 20 yards. You’re also going to want to make sure your point is geared towards turkey hunting so that you don’t unintentionally decimate your dinner due to too large of a tip. Our last tip is to remember to be grateful. Life gets so hectic from time to time that many of us forget to take time to look around and realize all the blessings we have around us. So, this Thanksgiving, remember to stop and smell the roses, to smile at your kiddos crazy antics, and to enjoy your Thanksgiving feast; even if the bird is a little burnt and Uncle Fred forgot the stuffing. 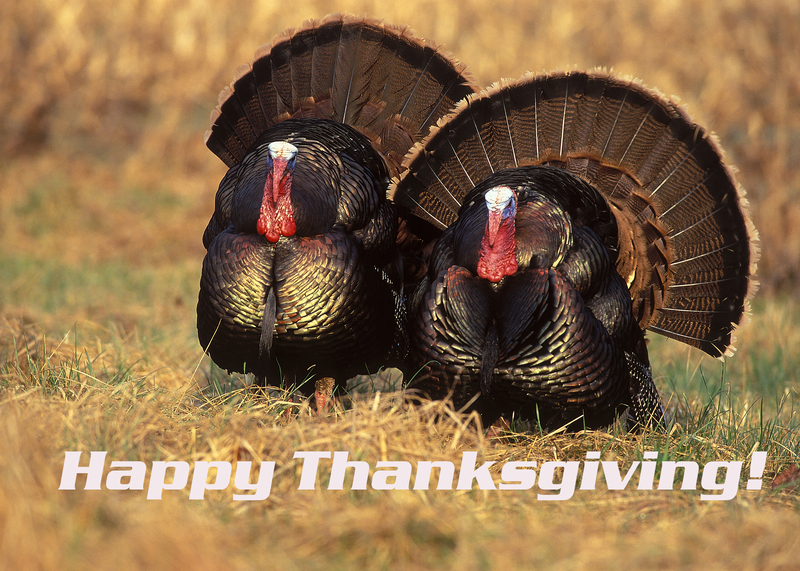 Happy Thanksgiving everyone, from our family to yours! Winter is fast approaching, and for many hunters that means the end of their season. We can’t blame you; we know that while lots of people love winter that it is most definitely some people’s least favorite season. In fact, we have a few people in our offices who grumble every time someone mentions that winter is coming (and we have one who makes obscure Game of Thrones references every time this phrase is uttered). Regardless of your feelings on winter as a whole, there is one amazing benefit to winter: Winter Buck Hunting. If you’ve never been winter buck hunting it is an experience that everyone should enjoy at least once in their lifetimes. It has many challenges, but once you get your buck the overwhelming feeling of accomplishment makes everything worthwhile. However, winter hunting is a unique experience with unique challenges. Here are some of our favorite tips and tricks to help make your winter hunt successful. 1. Bring your fully charged Pro-tracker, ultimate recovery system. We made this number 1 on our list because it can literally be a lifesaver. Winter weather is temperamental at best. Often times the weather report will show clear weather, only to have a spontaneous blizzard come seemingly out of nowhere in the middle of your hunt; or maybe you’re a hunter who loves to hunt mid-storm. Regardless of your timing preference in regards to winter storms, there are a myriad of challenges in the snow. Sometimes you have a great blood trail that later goes cold, sometimes you have no blood trail at all, and sometimes the terrain can become slippery and dangerous unexpectedly. This is where our system can help to save you. Our system can help track your animal so that you can recover it quickly in case of an emerging blizzard or to help you find it during a blizzard to help you get home safe with your animal in tow.Get yours here! 2. Do not rely on your deer stand. While deer stands are a reliable way to get a buck during the main season, this is not the case for a winter hunt. Since food is scarcer, the bucks move around significantly less so the likelihood of one wandering by your stand is slim to none. If you want a winter buck, you have to rely on your skills as a tracker. This aspect of winter hunting is why the reward is so, so good; you have to put in some serious work. 3. Look for food. This one seems pretty obvious: in winter food is harder to come by, so you’re likely to find them close to a food source. However, this is a key aspect of winter hunting; particularly if there is sleet. Sleet penetrates a deer’s coat, so they tend to hunker down in between trees near their main food sources prior to or after ice or sleet storms. That means if you perch in a spot with a good view your chances of snagging a beautiful winter buck are much higher. 4. Pay attention to the wind. It doesn’t matter how good of a tracker you are if the deer can smell you a mile away. Winter winds can be notoriously strong and harsh, so you need to position yourself accordingly. You will constantly be changing your position to suit the wind in order to be successful. Wind is also important because bucks tend to use trees to act as blocks from particularly strong, chilly winds. If you know the direction the wind is blowing, you can usually pinpoint 2-3 locations near you that would make a good wind block and therefore will know a good place to bust out your binoculars and glass for bucks that are bedded down. 5. Carry your bow in a shoot ready position. Since your hunting on the move, most shots will need to be made quickly in order to be successful. Having to shift your bow to a shoot ready position can cost you precious time causing you to lose your animal. The fact that winter buck hunting does require swift shots is another great reason to bring along your Pro-Tracker; often times swift shots are not as accurate as one would hope and our system can help you recovery your animal in case you have a poorly placed shot. Those are our top 5 tips for hunting winter bucks. We hope they help you to bag an awesome winter buck and help you enjoy your winter hunting experience! Don’t forget to send us pictures of your winter trophies or stories about hunting with your Pro-Tracker, ultimate recovery system because we love when you share your stories with us! Happy winter hunting! 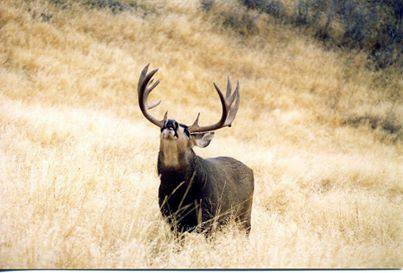 Deer hunting season is almost upon us here in Idaho and we cannot wait. That being said, we know a few people who were lucky enough to score a muley tag either here in Idaho or on Utah. 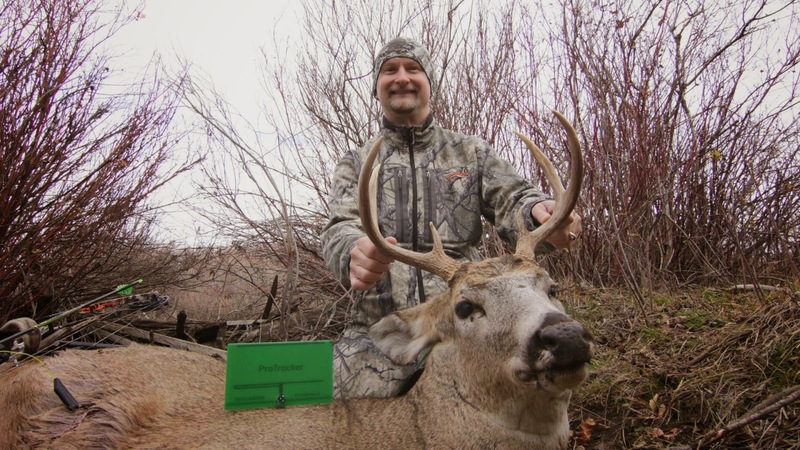 Last year one of our crew was lucky enough to get a muley tag and managed to get a beautiful buck. 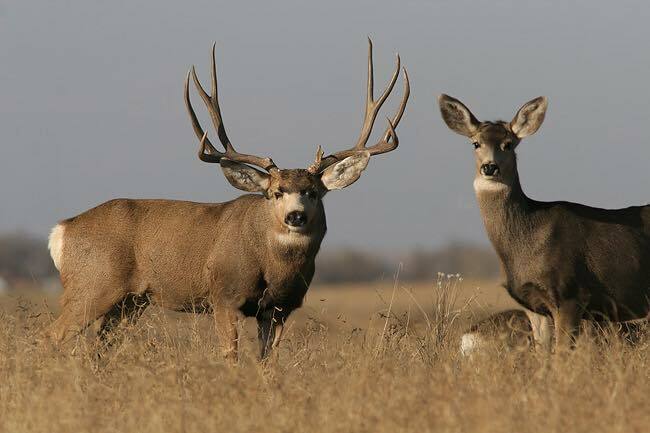 We asked him to share some of his top tips to help you bag a big buck too, so we present you with his Top 5 Mule Deer Tips! 1. Location, location, location. This one may seem a no brainer to many, but it is literally the best piece of advice you can get no matter what you happen to be hunting. Mule deer in general love rough terrain, so the higher your vantage point, the more visibility you will have between the shrubs and bushes, and the more likely you are to keep an eye on your deer. If you find an area with a good vantage point and white sand you are in an amazing spot, so hunker down and wait for the deer to come. 2. Timing is everything. By timing we mean two things: picking the best time of day for a big buck, and also timing your shot just right. Big bucks tend to be out and about either an hour or so before sunrise or sunset and shortly after. These boys know that their large racks make them highly visible, so they tend to prefer to be out and about in low-light or evening hours, rather than the glaring light of day. For your shots, be patient. Wait until your buck is alone. A deer alone means you are less likely of being spotted by other deer that can alert your buck to danger, and that more than likely your buck is being calm and moving slowly, which increases the likelihood of a kill shot. 3. The bird is the word. Which bird in particular? Why the Magpie! For some reasons mule deer and magpies seem to be BFFs. Mule deer love how magpies help to keep their coats clean, and the magpies love the free food, so in most cases where you find one you are likely to find the other. 4. Don’t be the smelly kid. Mule deer have a surprisingly great sense of smell; which means no matter how quiet or how stealthy you are, your scent can give you way in a New York minute. Therefore, it is extremely important to either accurately mask your scent or keep a very close eye on wind direction. 5. Just because he’s #1, doesn’t mean he’s your #1. Mule deer are notorious for having beautiful, yet deceptively sized racks. Which makes this tip a hard one, don’t shoot the first buck you see. 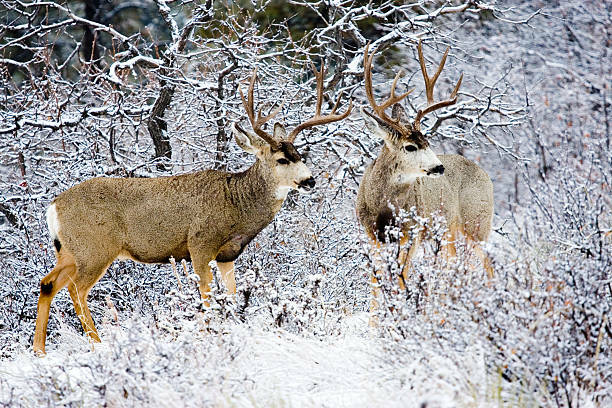 We know it’s tempting, but especially with mule deer, waiting will likely get you a beautiful buck. We saw so many last season, but our guy bided his time and ended up with a beautiful boy that put all those other bucks he saw to shame. So those are our top muley tips. We hope these help you all to bag that perfect buck that not only fills your table with delicious food, but can also decorate your home and make you proud! We hope this fall you have a great hunting season. Don’t forget to bring along your Pro-Tracker, ultimate recovery system with fully charged batteries too! You don’t want to hit your big guy, only lose him in that rough terrain and dense brush that mule deer love. Make sure to take us along to help make sure your hunt goes off without a hitch. Happy hunting! If you’re like us (which we know many of you are) there is nothing more exhilarating that the feeling you get when you’re on a hunt. Nothing that tops the soft pine needles crunching beneath your feet, breathing in that crisp morning air, listening to the dulcet tones of a bugle as the sun comes up, and that perfect pause before you exhale and the bowstring snaps; letting your arrow fly free. To us, hunting is getting in touch with nature and providing. However, with this amazing sport also comes a load of responsibility. To us, being a bow hunter isn’t just being someone that enjoys going on hunts, it’s taking on the mantle of teaching the next generation what a hunter is. To us, a bow hunter is someone who understands the part they play in animal conservation, who hunts responsibly, respectfully, and ethically. It is for that reason that we created the Pro-Tracker recovery system; and why we continue to advocate for its use on any hunting trip no matter the skill level of the hunter. One of the key reasons we created our Pro-Tracker recovery system is because of the ethics of hunting. As hunters, we feel you are required to do everything within your power to find any animal that you hit. Unfortunately, that doesn’t always happen. In the article, Bow Wounding Losses THE BIG MYTH, David Samuel states, “It is disquieting to know that we probably wound one deer for every animal harvested 1.” Samuel believes this is due to the difficulty level in bow hunting vs. gun hunting due to how much more difficult bow hunting can be. In another article, Hit or Miss, by Glenn Hegeland he recalls hearing a hunter brag, “he hit four tonight,” only to then hear him mumble that he wasn’t able to find any of them 2. 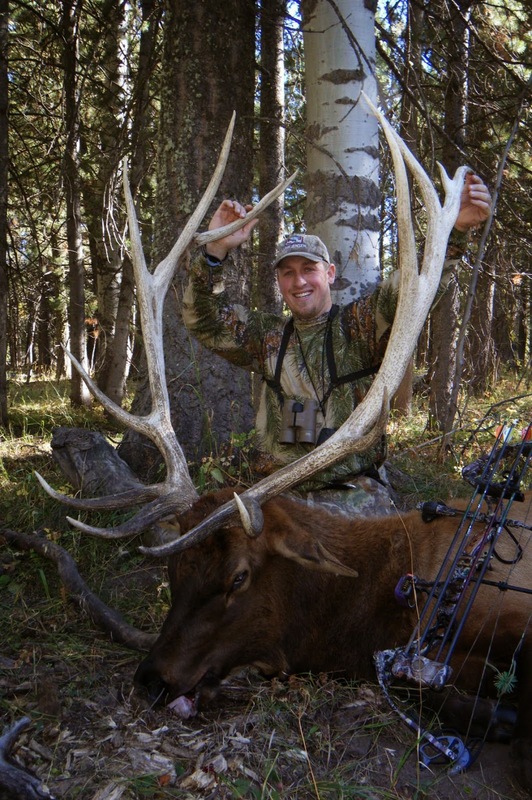 According to Adrian Benke, “Archery wounding is the most denied problem in bow hunting and most ignored problem in wildlife science 3.” The main reason is the sheer skill required for the sport. In a study done by Glen Boydson and Horace Gore, they found that in order to guarantee success a hunter needed to be within 30 yards of a deer, make the shot completely undetected, and hit vital areas. Now, many of you will likely think, “Well I’m an experienced hunter, I can do that.” Truth be told, you probably can, however that study also found that experience hunters wounded more animals that novices. This is because while novices missed the animals entirely, experienced hunters had more hits and could release more shots in a short amount of time 4. As a whole, the image that these quotes and facts generate is not one that we feel represents us as hunters, or our beliefs as hunters. Most of us believe more along the lines of Dwight Schuh who in his article, A Call for Accuracy, states, ”There is nothing honorable about hitting and losing an animal; it just means you screwed up 5.” This is why we feel that all hunters should include our Pro-Tracker recovery system in their hunting arsenal. If you get that perfect shot, or if that blood trail is going strong, then use those skills you spent years honing. However, if nature or life gets in the way and you lose your animal, let our recovery system help you to make sure you can recover it and take it home. Let the Pro-Tracker, ultimate recovery system help you to be an ethical hunter! 3. Benke, Adrian. The Bowhunting Hunting Alternative. 1989. 4. Boydson, Glen; Horace, Gore. Various Wildlife Studies in Texas. 1972-1985. 5. Schuh, David. “A Call for Accuracy.” Bowhunter Magazine. Big Issue 1989. 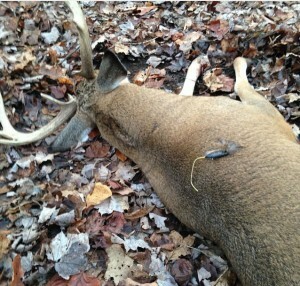 Wounded deer found using the Pro-Tracker system. As hunters our primary goal every time we go out is to hunt and recover our animal; not only because that is the point of the hunt, but because know that there is no feeling worse than knowing you injured, or killed, an animal and that after exhaustive searching it is nowhere to be found because of issues beyond your control; like no blood trail, rain, or the blood trail just quitting. Unfortunately, that exact thing happened to one of our owners and spurred him to create the Pro-tracker recovery system. We know many of you agree that this is an issue, and we hope that this will never happen to you, but this is still an issue worth reviewing. So, let’s take a deeper look, shall we? •	Even though deer loss was first presented as a serious issue via controlled studies performed in 1989, we are still experiencing at 18% wounding rate per 104 bowhunters. •	In a normal hunting season it is estimated that 908 white tail deer are hit, but only 746 are actually recovered. That means that there are approximately 162 lost, injured, or killed animals that are never recovered (1). •	In further studies it was found that most hunts they experienced had a 50% wounding rate; meaning only half of the hunters performed a kill shot on the first try. •	Of the animal’s injured by hunters in that controlled study, 14% of those lost, injured, or killed animals were never recovered. •	Furthermore, that controlled study found only 4% of these injured deer actually died from their wounds annually, which means 96% of these injured deer were left to suffer through life with a potentially debilitating injury (2). •	If you look at studies, such as this one by the Oklahoma Fish and Wildlife Agency, you’ll find that in their research they have found that 50% of the deer that were shot were never recovered, which to us is entirely unacceptable. Upon further reading you’ll find that in this study there was a wounding loss of 14%. That means that 14% of those deer that were failed to be recovered sustained fatal injuries and one of those deer managed to survive with these injuries for 5-7 days before finally perishing. We as hunters owe it to these animals to ensure they suffer as little as possible, which means we need to recover them in a timely manner. We don’t know about you, but we find those statistics incredibly upsetting. Which is why we feel like our Pro-Tracker recovery system is such an important part of a bowhunters arsenal. Our system will allow you to hunt and track as you always have, and to enjoy taking advantage of the knowledge and skill those require, but when something goes awry our system will be there to help you make sure you recover your animals. Let our system help make sure you can hunt with confidence, and add our Pro-Tracker recovery system to your hunting equipment today! 3. Adrian, Benke. The Bowhunting Alternative. 1989. 1. First off, you want to understand the bird in general. For the most part, you’ll likely have the best hunting near the first and last hours of the day (provided these fit within your legal hunting periods), and you should also remember that turkeys don’t like to roost near the crest of hills. Therefore, look for spots around ½ to 2/3rds of the way up a hill. Turkeys also love the sun, but hate the wind so look for hills, hogbacks, side-hills etc. 2. Understand where you’re hunting! If your terrain is flatter, look for meadows or tree clearings. If your terrain is hilly, check out knolls, if your terrain is more southern based look at areas near water with nice tree coverage. 3. Turkeys love to roost in big, old trees. Particularly on longer, larger branches. 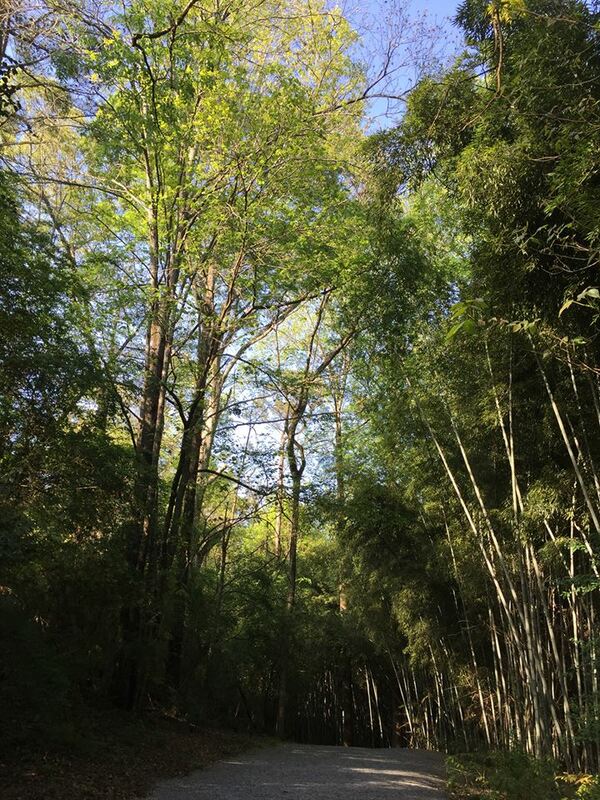 However, it should be noted that if no old growth trees are nearby, they will not turn up their beaks at a younger, skinny tree. Just look for branches that seem like they would make an easy perch. If you need help locating a potential golden turkey spot, make sure to check the base of your trees for evidence that it has been roosted in previously (like feathers, droppings, etc). 4. Look for areas with a good amount of food for the birds as well; remember turkeys are just like people and make sure to camp out near good feeding grounds! Now that you know some awesome tips for helping you find your bird, the last key to success is making sure you are properly equipped. Make sure to bring outerwear suitable for the weather you’re hunting in, as well as potential rain or snow depending on where you live. Also make sure to bring snacks and lots of water. Turkey hunting is a game in patience, so you want to make sure you’re all set to hunker down for potentially hours. Last but not least, you want to make sure to bring your fully charged Pro-Tracker, ultimate tracking and recovery system. Turkeys are known to be wiley and smart, and you don’t want to risk finding your perfect bird due to a poor shot that allowed it to take flight. Even injured, a turkey can be speedy and an escape artist, so it’s important to have your Pro-Tracker system on hand to help you find your bird if your shot goes awry. Happy hunting everyone! Ah, Saint Patrick’s day…the day full of frivolity, poor dress choices, and unappetizingly colored beers; and oddly enough one of our favorite smaller holidays. Why, you ask? Well, first off as hunters we fully support anything that revolves around the color green, especially when it gives us an excuse to have an office camo day. Secondly, we love it because it gives us the chance to enjoy some brews (preferably NOT the green kind), good laughs with people we love, and has a tendency to spur fantastic discussions about how this holiday marks just around a month until we get to kick-off turkey hunting season. We’ve also found that some of the best ways to enjoy a tasty adult-style St. Paddy’s Day is to have an awesome dinner complete with interesting beer and wild game recipe pairings. Not only does this help clear out the freezer to make way for this year’s game, but it gives you the opportunity to elevate your dinner with ease. So this month, we present to you some of our favorite wild-game and beer pairings. Salut! 1. Duck. We love us some duck! It’s tender, delicious, and pretty versatile overall. You can batter it and fry it, you can roast it; the limits of duck know no bounds. We have found though that duck tends to pair best with a little bit sweeter of a beer that has more of a fruit or citrus base. Fortunately, sweeter beers abound! We have found that some of our favorites include pairing a nice Kriek Lambic (like this one from Lindeman’s), a Doppelbock (we love Celebrate by Ayinger), or a Trappist ale (we recommend Trappist by Rochefort 8, or a lovely Chimay Cinq Cents). If those are a little too fancy or hard to find (because let’s be honest, sometimes your options are limited), any sweeter stout or Baltic porter will definitely go great! 2. Venison or Elk. Venison can be a bit trickier to pair, as it often has a bit more of a gamey flavor to it. Lots of people love and embrace the gamey flavor, while others prefer to mask it as best they can. 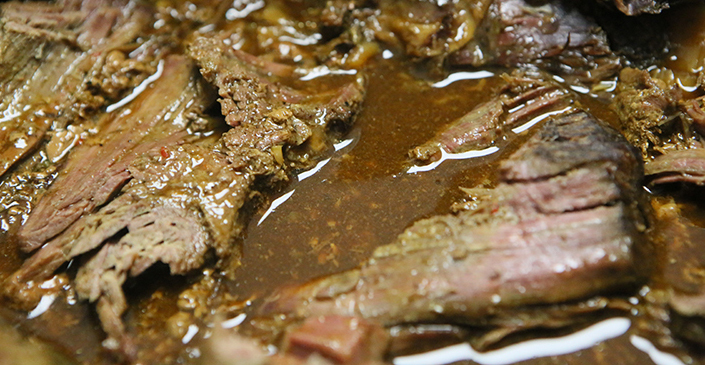 We personally love the venison for what it is: nature-made deliciousness. Since venison tends to have a bit more of a bold flavor, we love to pair it either with a simple wheat if you’re doing burgers (like a Miller High Life, O’Dells Easy Street, or New Belgium’s Sunshine Wheat), or a nice Brooklyn Brown ale like Lost Coast’s Downtown Brown. The caramel undertones in addition to the malty quality pairs amazingly with the venison and does a great job of complimenting it by highlighting all the wonderful flavors, and masking any potential overly gamey flavors. 3. Wild Hog. Now, we have to say that one of our favorite things to pair with any type of pig (wild or not) is apples. We can’t say exactly why since we aren’t chefs, but there is something about that sweetness that just takes pork to a whole new level. So, of course, one of our favorite beer pairings is one with apples. Now, we know many of you will give us a judgmental brow for this one, but we insist you try it before you judge. We personally love the way Angry Orchard pairs with wild hog; particularly their Green Apple. The reason we prefer the green apple as opposed to the regular, is we’ve found that on occasion the regular Angry Orchard can be just a tad too sweet, where as the Green Apple gives a nice tartness that balances the flavors just right. If, however, you simply cannot bring yourself to drink Angry Orchard, Dubbels also pair quite nicely with hog, as do most Belgian Strong Ales or Stouts. 4. Turkey. With spring hunting season just around the corner, we couldn’t leave out one of our favorite birds! Luckily, turkey pairs great with quite a few beers allowing you a variety if you so choose. Some of our favorite beers to accompany a nice wild turkey are a good IPA (we recommend Julius by Tree House Brewing Co, Orange Starfish by the Aslin Beer Co, or Yellow Rose by the Lone Pint Brewery), a Saison like Hennepin, or a nice amber ale (we adore Levity by O’Dells Brewing Co). If we were you, we’d just make lots of delicious wild turkey in as many ways as possible and just explore the possibilities! We hope you all enjoy our pairing recommendations, and hope that if you try them, you let us know what you thought (or even send a picture, we love pictures)! We also believe that any day is a special enough occasion for an awesome dinner party with some delicious beverages. We wish you all a safe and happy St. Paddy’s day and hope that you all stay safe. May your dinner clear you freezer, and your Pro-Tracker, Ultimate Tracking and recovery system help you to successfully fill it anew this year! We don’t know about you guys, but we have had an awesome hunting season this year thanks to our Pro-tracker, ultimate tracking and recovery system giving us help when we needed it. Because of our luck we seem to have a good amount of antlers around, as well as lots of amazing sheds that we were lucky enough to find. Since we are all about using all parts of the animal we hunt, the question now is what to do withal of them? Well, we’ve asked each other and some other hunters we know and come up with some crafty ideas we think are pretty darn awesome. Better yet, we’ve included some awesome DIY videos we have found to help you guys with each project. Have some ideas of your own? Then let us know about it! 1. Make a chandelier. Now, this one can be both time consuming and tricky and may require some outside assistance, but when done right these can look amazing. Not only will your friends and family compliment you on your unique décor, but you get to inform them that you found and handpicked (and depending on your level of craftiness and electrical abilities, made) all the parts making up your awesome new home addition. Unfortunately, this is one thing that unless you have a large store of sheds to choose from, may take a few seasons to accomplish. 2. One of the ladies in our office is the crafty sort and loves to decorate her house with things she has made; and she has made some awesome things! Some of our favorites are a coat rack she keeps near her front door and a wine rack she keeps in her kitchen. The coat rack is great because it can be as simple as a lovely pine or wood board with small sheds screwed on, to a more complex standing rack with each shed branching off to allow maximum coat space. One of her personal favorites is the necklace/ bracelet holder she made so some of her favorite jewelry pieces from her husband can have a place of honor. All three of these ideas are surprisingly easy to make as well, which is a huge plus! 3. 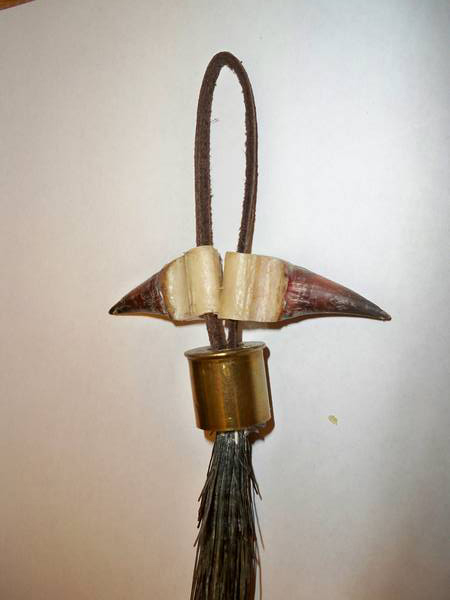 Make your sheds help you next season by making your own rattling horns! We all know there are tons of things you can use to mimic this noise while you hunt, but why not do it yourself! You can save yourself some cash since you’ve already got the supplies and we’ve also found that using real antlers gives the best, most realistic sound out there. For these, all you need to do is trim off the brow tines, use a Dremel to smooth any rough edges, and then use some paracord to make the antlers easy to transport and hang. Ta-da! All done! Well everyone, it’s that time of year when Santa comes and we all spend a crazy amount of time trying to find that perfect gift for those that we love. We know shopping around for just the right thing can be time consuming and stressful; which is the opposite of what the season of giving is all about. So, we thought we would totally help you guys out! Here is a short list of our top 5 things we came across that made our inner children do a happy dance that just might be the perfect thing for that beloved hunter or huntress. 1. The Go Pro Sportsman’s Mount. What’s better than filming a great hunt? Well filming it from your perspective of course! This Go Pro is specifically made to attach to most guns (including paintball or airsoft), fishing rod, or bow; the only requirements is that it’s between 0.4” and 1.0”. You can put the camera on either a forward facing or reverse mount as well, in case you want to film a first time hunter’s expression when they finally get their first kill! 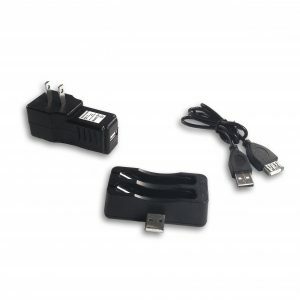 The mount retails for $69.99 and can be found in most sporting goods stores. Need a Go Pro to go with your mount? Well those little guys generally retail for anywhere between $199.00 and $499.00 depending on the model and can be found in most sports and electronics stores. 2. The Pro-Tracker, Ultimate Tracking and Recovery System. 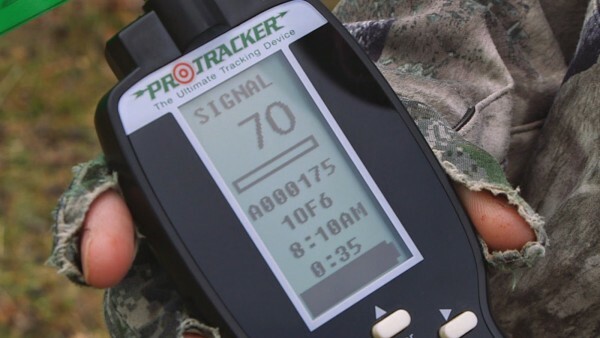 The Pro-Tracker system is a must for any Bowhunter. The system has a small transmitter that attaches to the arrowhead and immediately disengages upon first impact; which allows for pass-throughs. 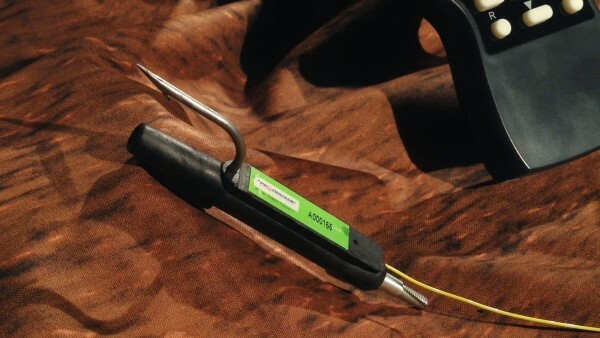 The transmitter then hooks into the animal’s hide and begins sending a RF signal to a handheld receiver. The receiver gets updates to your animal’s location every 3 seconds and then gives you a digital readout showing right where your animal is. The system is lightweight, rechargeable, and water resistant with a battery life of 10-12 hours. This system is amazing and makes it so you have peace of mind. If traditional tracking fails you due to inclement weather, unfortunate hunting terrain, or darkness, then this system can help ensure that you find your prize and can take it home. Like to hunt in a group? Well the receiver can also be used for up to 6 transmitters, so if you’ve got a large family (or lots of friends) you can use this as a great gift for a group of people, or a great gift for a group of people to all chip in on! Retail is $699.95 and extra transmitters are $89.95. 3. Hunting Clothing Specifically for the Ladies. Well guys, the ladies in our office unanimously, and enthusiastically, voted that this be put on our top list of presents. It seems that while things are getting better that there is still a general shortage of women’s camo hunting gear. Luckily, stores like Cabela’s and Gander Mountain have hopped on to the ladies hunting train. So this Christmas it may not be a bad idea to make sure all the ladies in your life are suited up in clothes specifically cut for them to help bring their hunting game up to the next level! 4. Oakley Radarlock Path Photochromic Sport Sunglasses. We know, you’re probably wondering why on Earth sunglasses made our list. However, these aren’t just regular sunglasses, they are the mother of all sunglasses and are basically made specifically for hunters to boot. As a hunter, you spend enough time outside that having a good pair of shades with UV protection is a must, but there is nothing more aggravating that having to buy a new pair when the lenses inevitably get scratched. So, enter these awesome Oakley Sport sunglasses. These babies have interchangeable (yes, we said interchangeable) polycarbonate lenses so that when those scratches do happen, you can just pop in a new lens or two. They also have frames that are made of both durable and flexible materials so they can take a beating. Best of all, these are basically smart sunglasses and the lenses are made specifically to automatically adjust to your light level as you move from shade to sun during your hunt. These retail from $155.99-$300.00 depending on where they are purchased from and which pair you choose. 5. The BARSKA 8×32 Binoculars with Built-In Camera. During a hunt binoculars basically become an extension of your hands for a good portion of the day while you’re busy scouting for that elusive game and there is nothing more frustrating that seeing amazing views and wildlife and being able to tell your family and friends about what you saw, but not being able to actually show them. Now, with these awesome binoculars you can see and show. These binoculars are not only great binoculars on their own, but they come with a built-in 8.0 Megapixel camera that allows you to snap photos of all the amazing things that you are seeing. This not only gives you great photos to share with family and friends, but can prove to be extremely useful when mapping out terrain in preferred hunting areas. This retails for $160.00-$199.00 depending on where they are purchased. Well everyone it’s almost time for one of our favorite holidays…Thanksgiving! Why do we love Thanksgiving? Well because, as avid bow hunters, this is the holiday where we get to let our friends and family try some of our favorite wild game recipes, as well as try recipes other people bring along! This month’s blog is going to be a spotlight of some of the very best recipes that have come across our Thanksgiving table. Have a favorite of your own? Then share so we can give it a try! As far as we are concerned, you can’t have the perfect Thanksgiving without the perfect turkey. Luckily, this year we had some pretty good luck getting a few wild turkeys and we can’t wait to get them on the table. Now, as for wild turkey, there are hundreds of amazing ways you can prep and cook it; all of which are completely delicious. If you’re not a big fan of cooking and prefer to go basic, we personally love doing both a simple roast with some basic seasonings (like salt, pepper, and season salt) and a good consistent basting. It’s easy as pie and always comes out juicy and flavorful with minimal effort. If you’re one that loves the flavors of a deep fried bird, then by all means go for it! For our fried birds, we like to keep it simple with a bit of salt and some brown sugar. It’s a little sweet and packed full of flavor. However, if you’re someone that loves to cook and wants to impress, we absolutely cannot get over how fabulous the Thanksgiving Wild Turkey recipe from The Wild Chef is. Why? Well it’s packed full of flavor, comes our wonderfully juicy, and well…bacon. You can never, ever go wrong with delicious bacon. Want the recipe, but don’t have the cookbook? No worries! You can find it here, courtesy of Serious Eats. Now, we all know how impatient some guests can be while everything finishes cooking; not that we can blame them with all those amazing smells floating around. So, an appetizer is always a good idea. Our families absolutely love duck, so if we have some on hand we like to cut it into bite sized pieces, dip it in milk, and coat it with a lightly season breading and give it a good fry. It’s super simple and pretty darned tasty. However, you can also never go wrong with this recipe for bacon-wrapped elk. We gave it a whirl last year and it was a total hit, but then again…bacon! Another few options for your appetizer table that have been big hits here is some delicious venison summer sausage (we’ve tried tons of recipes, and Gramp’s version is still one of our all-time favorites) with cheese and crackers and if you prefer a fancier table, we also loved these Duck Bites with Orange and Candied Ginger from WildHarvestTable.com. Now, of course you’ve got the appetizers and the star of the show covered, but what would Thanksgiving be without some of those amazing sides? We always have a salad at our table, and we love to sneak some wild game in. A few of our favorites is this recipe with Wild Boar and this salad which is suited to whatever wild game you happen to have on hand. We also love us some carbs, so stuffing is a must. Luckily, Wide Open Spaces completely has us covered on this front. They put up not one, not two, but three delicious wild game stuffing recipes a few years ago; and they are all fabulous! We also love to sneak some tiny bits of friend duck into our green bean casserole along with a little bit of bacon (what can we say… we really, really love bacon. Well those are some of our favorite additions to our holiday table. What are some of yours? Tried these and liked them? Then tell us about it and send in a photo! We are especially thrilled because this year we’ve gotten tons of great photos and emails from Hunters all over the country who have let us know that thanks to our unique and wonderful Pro-Tracker, ultimate tracking and recovery system, they managed to find game they would have otherwise lost due to harsh terrain, nightfall, and even a freak heavy rainstorm that washed away a blood trail. We are so thrilled our system helped you guys to get some meat on your tables in time for Thanksgiving! We also wanted to say thanks to each and every one of you! Happy Thanksgiving everyone, and enjoy! Over the years there have been tons of advancements in technology within the hunting world. We’ve seen the shift from traditional bows to compound bows, and compound bows to crossbows. We’ve seen advancements in trail cams, in gear, in arrows; every year it seems hunting in general becomes more technologically advanced. So, it stands to reason, that most hunters along with all of their hunting gear, will also be bringing along their phones. A phone is vital to most hunters to ensure they can reach help if necessary, but did you know your phone can be an extra tool as well? Here are some of our favorite hunting apps to help you take your hunts to the next level! 1. Where to Hunt. We have to say, we love this app. There is nothing worse than getting all ready for a nice relaxing hunt, only to find the location you’ve selected has an abundance of hunters. This app lets you, and any other hunters in an area, check in via GPS location so you can see how many hunters are in your surrounding area, as well as where they have decided to hunt for the day; making sure if you want to hunt in a more secluded area you know where to go. It also has built in maps so you can re-route your hiking route to avoid other hunters if you’re on your way to a particular preferred location. Prefer to hunt in a group? Us too! Luckily, this also has an option where you can enter in private party info so you and all your friends will know where everyone in the group is at all times. This app can also ease the minds of any loved ones at home by giving them the ability to check in to your location from home throughout the day. Luckily this app is also FREE! 2.	iHuntJournal. Any good hunter knows that taking notes and paying attention prior, and during a hunt, are what help you find that prized animal and this app is perfect for that! You can pinpoint specific locations of interest via GPS, take and catalogue photos for different locations, and make any notes you feel are necessary for any of your preferred locales. It also lets you email this info out via a CSV, so that if you’re planning a hunt later (or planning a group hunt) you can make sure everyone has pertinent information. Unfortunately, this app isn’t free, but we feel it is well worth the extra money. You can find it for between $5.99-$8.99, depending on where it’s downloaded from. 3. ScoutLook Deer Log. This app is one heck of a handy tool! It has tons of important weather information, like changes in barometric pressure, wind speed and direction, and even has information on the tides. It uses drop down menus to help you save specific spots for just about everything; including rubs, cameras, tree stands, and blood trails. You can make logs throughout the day during your hunt and this app will automatically track ratios of bucks to does, as well as ages of deer in that specific location. This app is essentially a nifty all-in-one tool that helps to manage and organize your hunt. Best of all, it’s FREE! 4. Archery Pal. This app is a lifesaver for bow hunters! We all know having a slightly unbalanced arrow can ruin what could have been a perfect shot, and this app helps make it all fool proof. This app not only calculates your arrows speed, as well as its kinetic energy, but you can also use it during target practice to gauge your accuracy and provide the percentage of the accurate shots you’ve made. It then takes all of this info and puts them into user friendly graphs so you can help better your shots. Add in that it allows you to also put in specific locations to be saved, and you’ve got one awesome app that costs about $4.99. 5. Hunting Light and Blood Tracker. Last, but not least we have this cool app. We all love to hunt, but know blood trails can sometimes be a tricky thing. 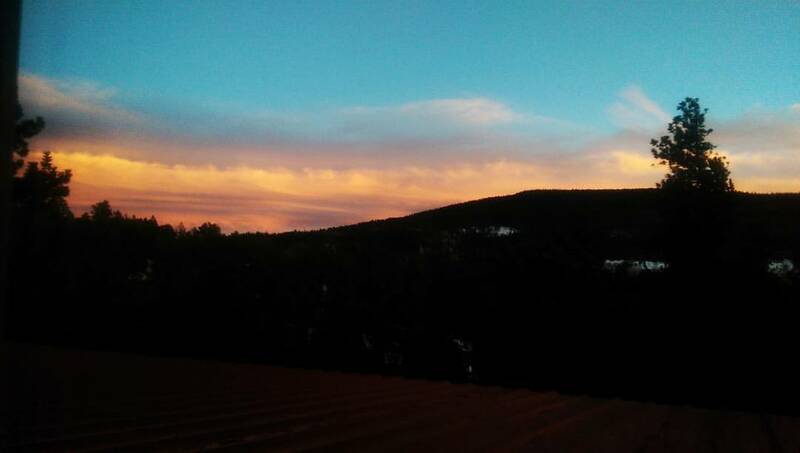 This app produces light that alternates between pink and purple. Doesn’t sound like it does much right? Well, but alternating these colors, it helps dull green shades and increase any red coloring, allowing more visibility in your blood trail on the ground. This also can double as a great emergency flashlight and has SOS light flashes in case you find yourself in a bit of trouble. This one runs between $0.99-$1.99 depending on which app store is used. So those are our top 5 hunting apps. We love that they can help you organize your hunt, coordinate with your partners, and even aid in tracking a tricky blood trail. But don’t forget nothing replaces good old fashioned practice; and don’t forget to bring along your Pro-Tracker, tracking and recovery system so that if you’re apps fail you, you don’t lose your animal! Never used a Pro-Tracker? Well you should give it a try. 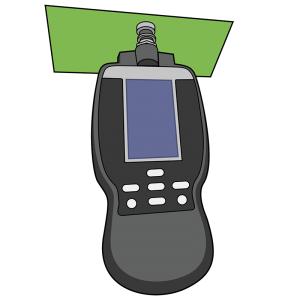 Our system has a transmitter that fits into your arrow and upon contact with your animal sends an RF signal to a handheld locator that gives you real-time readouts of your animal’s location to your hand-held reciever so that if these apps, or traditional tracking fail you, you won’t risk losing your prize! As many of you know (particularly if you follow our social media channels) hunting season started in Utah last month and is just beginning here in Idaho. We lucked out and got a coveted Muley tag for Utah, and even though we’ve been out a few times we have yet to find The One. We had the pleasure of sitting down and chatting with some other hunters and after hearing some hilarious hunting stories, we mentioned our continued search for our Muley. The guys and gals then started mentioning all kinds of awesome tips and tricks to help us locate our quarry and we got to thinking that we had to share some of these with you guys! So, here are some of our favorite tips we’ve gotten from other hunters, hunting blogs, and magazines; as well as some of our own awesome know-how. Enjoy! 1. Scope Out Your Animals! Mule deer tend to live in more broken terrain, but they do often visit the same spots to drink, eat, and bed down. If you get a high position first off (prior to dawn), you can use your spotting scope and binoculars to glass the surrounding area. Finding the Mule deer when they are up and moving makes the actual hunt later that day more likely to be a success. However, make sure to blend in to your surroundings; a silhouette is a dead giveaway to these guys! 2. Look for the Magpies! One tip we got, that while it seems odd is entirely accurate, is to look for groups of Magpies. Magpies love to hang out near, and on, Mule Deer in order to make a quick snack of any insects or lice on their coats. So if you keep your eyes peeled for any Magpies making frequent trips from the bushes down towards the ground, more often than not you’ll see them making a pit stop on a nice Mule Deer. Thanks to the large size and shape of the Muley’s ears, they have very sensitive and acute hearing, so you’ll want to take extra care to keep quiet. Take an extra minute or two to scan for any errant branches, twigs, or brush that might cause unnecessary noise and make sure to step gently so you remain as quiet as possible. You’ll also want to leave any windbreakers or other noisy clothing that tends to rustle at home; otherwise they might cost you’re your prize. They’re hearing is so acute, that depending on how cool it is outside, you may even consider stalking them in socks, crawling, or creeping up on them on your belly to get into range for your shot. 4. Make Sure You Are Well Equipped. Hunting Muleys is definitely physically taxing; you can track these guys for miles before you find The One. Mule deer are by nature travelers and can cover several miles of terrain each day between their preferred feeding spots and the area they like to bed down in. Since these guys also tend to prefer more uneven terrain, plan for a harder hike over several miles each day. This is where those Getting into Hunting Shape tips we put up come in handy. Last, but certainly not least, this is the perfect type of hunt to use your Pro-tracker system! Our system will help guarantee that once you’ve found The One that you don’t lose your prize due to uneven terrain. You can still track using the traditional methods, but you’ll be able to rest easy knowing that if the trail runs cold, our Pro-Tracker tracking and recovery system will be there to keep your trail hot! 5. Don’t Always Think High! Many hunters like to aim for the higher country, expecting the bucks to seek shelter to avoid the mad rush of the opening of the season and all of the noise that entails, but that is not always the case! More often than not, you can find tons of beautiful bucks that opted for smaller brush coverage (like sage) in the lower areas or basins. Depending on where the majority of hunters seem to be heading, we would recommend heading the opposite direction. 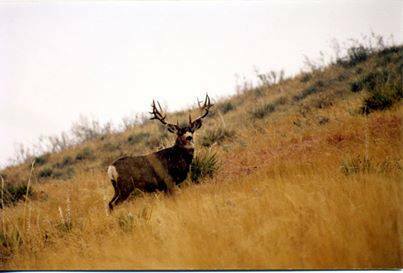 Not only will it be quieter with fewer hunters out and about, but you’ll have a great chance of spotting that Muley…just remember to keep your eyes peeled! So, those are some of the great tips we’ve both used and been told about. So, what other tips and tricks do you guys have? We here at Pro-Tracker are always excited about hunting, but this fall is one quite a few of us are anticipating more than others. Why you ask? 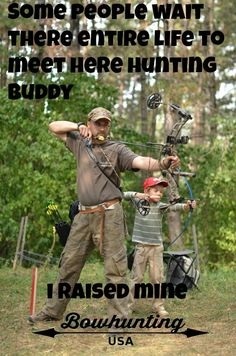 Because this fall some of us are allowing our kids or grand-kids to tag along on their very first hunts. For anyone that loves to hunt, taking a young person along for the first time is a memory neither of you will ever forget and may only be trumped by the first time they take their own animal. There is nothing better than watching the excitement light up their expressions when they spot a deer or elk or the focus they exhibit as you explain how to clean and prep the animal after the shot has been made. Now whether your kids are going on a hunt for the very first time, or just tagging along, there are certain things we think are important for you to remember. Kids are kids and mistakes can happen anywhere, however on a hunt mistakes can be dangerous. Make sure that you go over all safety rules prior to the hunt and ensure your young sidekicks understand the The why here is incredibly important. Young people as a whole are much more likely to pay attention and follow safety precautions if they understand why they are necessary and any potential consequences. Take into account the attention span and requirements of having a child tag along. Not all children will appreciate hiking around in extremely rough terrain, or looking for game in inclement or extremely hot weather. You should also remember that children don’t have the attention span to sit out all day like an adult would, so try to pick hunts that are shorter in length to help keep up their interest level. You’re goal is to make hunting fun and educational, and taking into account the personality (and attention span) of your young travelers is absolutely essential in making this a good memory filled day. Little people tend to have enormous appetites, and nothing can sour an excited kiddos mood faster than being hungry. Kids generally run on high unless they are asleep, and that means their metabolism runs on high as well. Add in all the hiking required for most hunts, and you’ll have one hungry kiddo. We recommend packing a good high protein trail mix (with m&ms, because they make all trail mixes better) and some jerky. Just make sure your packaging makes as little noise as possible so that snack time doesn’t cost you your dinner. Don’t forget the sunscreen and a good hat. Nothing will sour a kid’s opinion of hunting faster than associating it with a bad sunburn. Your goal here is to make sure the outing is enjoyable and sunburns are definitely not! Kids learn by observation, but also by asking questions. Be prepared to be peppered with every question under the sun during your hunt, and also be prepared to answer those questions. We know that hunting is generally a quiet sport, with minimal conversation, but when you’re introducing it to a young person conversation is essential. On that same note, don’t be afraid to be the one direction the conversation. You can pre-empt a lot of questions and make the trip much more educational and enjoyable if you’re an active conversational participant. If you want to make sure hunting makes a positive impression, along with being an active conversationalist, let your kiddo help out! Kids absolutely love to feel useful and feel like they are a part of something. Don’t get so caught up in explaining that you forget to let them take part. Kids are generally good at spotting things with their young eagle eyes, so let them help you look out for animals or their tracks. Let them help by carrying some things in their own pack, setting up attractants etc. The more they participate, the more fun they will have and the more they will learn. This means a positive experience for everyone and also a longer hunt time for you since they are engaged. We hope these tips help out anyone else getting ready to take a young person out for their first adventure into hunting. We wish every young person a wonderful first trip out and hope they have memories that will last a lifetime. We also must wonder if there are any tips we missed. If you’ve got some tips we haven’t mentioned, let us know! Happy hunting everyone! Year round we all watch people buzz in and out of the talking about making sure they are in shape for summer swimsuit season or an upcoming wedding, but we love to work out for a whole different reason: to make sure we’re ready for big game bow hunting season. Many people who are new to archery or bow hunting are learning precisely how exhausting the sport can be. Many people assume you just stand and shoot, but that is definitely not the case. You need your body to be ready to track your elk up hills, down slopes, over ridges, and also be prepared to follow the signal on your Pro-Tracker, ultimate tracking and recovery system, for miles on foot. Which is why it is so important to maintain good physical shape year round, but it is especially important as we approach the big game season. So, in order to help make sure you don’t huff and puff your way through your fall hunts, here are some of our favorite ways to make sure you’re in shape for the big game season. Some people may say that it is still early to worry about getting into shape for the season, but as with all exercise it is important to give your body time to adjust and to not rush getting it ready. Most people recommend giving yourself at least 12 weeks prior to your first hunt to start getting ready, but we feel like the more time you give yourself the better. One sure fire way to help your body get into gear is actually by walking. Walking is the primary way you maneuver out on a hunt, so the more ready you are for a good long trek the better off you will be. A brisk walk for 45-60 minutes 3 times a week is a perfect way to jump start your metabolism; want to get more out of your walk? Then add in hills of varying sizes. Once you’ve gotten into a good walking routine (after 1-2 weeks), then it’s time to add in strength days. You want to make sure to do core work every strength day complete with crunches and planks, then alternate your arm and leg days. Having good arms is incredibly important when bow hunting, but having a strong core will make sure that your bow is held steady during your shot. By 3-4 weeks into your routine, you should be feeling quite a bit better, which means it’s time to step things up again. This is a perfect time to increase your walks to jogs and to also start doing some interval training as well. In order to optimize your workout, we recommend jogging for 1-2 minutes, walking for a minute, and then jogging again. After 10 minutes or so, rather than walking add in squats or lunges for 5 minutes; after 10 minutes return to your jog/ rest combination and repeat each set twice. You’ll still want to maintain your strength training, but now you’ll want to make sure to include your core workout (and planks) every day. Now is where things start to get tricky, you’re going to want to find one steep hill and once a week jog up the hill, then walk down; and repeat for at least 20-30 minutes. This is going to make you extremely tired, but we guarantee that come hunting season, this will make hilly terrain a breeze. Now a month has gone by and we are really cooking. You should feel much better, fatigue less and be showing a good amount of strength throughout your body; which means it’s time to keep cruising. Remember, when you hunt you also get to tote a pack with you and you also may or may not need to pack your animal out. So, bust out your hunting pack and load it up with either your gear or weights that should approximate your normal load. Now that you’re all strapped up like a pack mule we’re going to go head out and do the same workout you’ve been doing. We should mention here that due to the pack, you will get tired and you may not be able to complete your normal routine. That is perfectly okay! Do as your body asks and rest when needed. If you need, go back to your earlier workouts with your pack and build up your endurance to where you can do your intervals, hills, and jogs with your pack. The goal here is to be able to move your normal routine up to a steady jog/run for about 45 minutes at a time and to be able to sprint up your hills when you encounter them. If you keep up this routine you will be in tip top shape, but there is one more thing (besides crunches and planks) that needs to be done every single day without fail to get you ready: shooting. You’ll want to take your bow out and practice for a good 30 minutes or more every day. Not only will this help to perfect your aim, it will ensure your shooting muscles are up to snuff. When you start out, focus more on just shooting that perfecting your aim; once your muscles are strengthened and your muscle memory is solid, perfecting your aim will become the main priority. Don’t forget to take a rest day once a week and remember to stretch! We look forward to seeing all of you looking great and ready to hunt come fall! 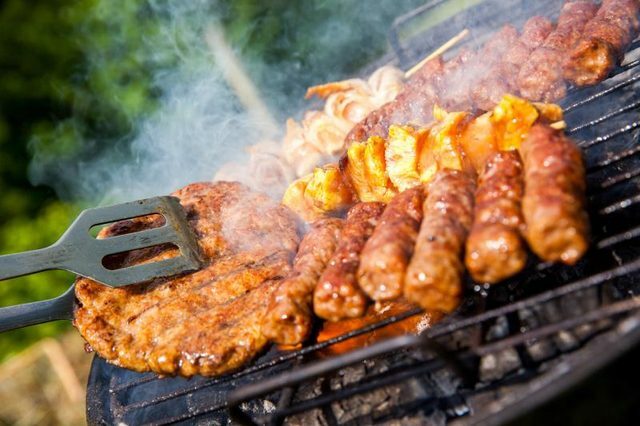 Well school is out and the vacations are planned; which means it’s time for some awesome summer barbecues! Here are some of our all-time favorite wild game recipes to help you up your barbecue game. 1. For those of you who like to embrace the heat these Venison cheddar- jalapeno summer sausages are absolutely fantastic. We recommend using a natural casing for these which you can get online as well as in places like your local butcher or Cabelas. These don’t necessarily need added fat (the cheese does a great job of taking care of that), but if you’d like adding in a bit or pork rounds out the flavor nicely and gives a little more added fat. Like venison summer sausage, but don’t like spicy? Try Gramp’s Venison Summer Sausage; though for this recipe we do recommend adding some pork in to add in a bit of fat and flavor. 2. We love us some bbq and these bbq duck sandwiches from wide open spaces were the perfect addition to our family picnic. The lemon pepper seasoning is mild, but gives a nice added flavor profile. We did decide that these were best on potato buns; but since that happens to be our favorite type of bun for just about anything we might be just a bit biased. You can also find a few more summer bbq recipes in this article, but we haven’t given those a shot yet. If you give them a try, make sure to let us know what you think! 3. We can’t make a list of our favorite summer recipes without mentioning venison and elk burgers. You can never go wrong with grilling up these babies, and when done right they can be the star of your summer get together. For these, you definitely don’t want to over-cook the meat; so remember to aim for either medium-rare or medium when cooking. That will guarantee a juicy burger, because no one likes a dry patty. There are tons of recipes for venison burgers on the internet (this one from Allrecipes.com is awesome, as are these by Wide Open Spaces), but no matter what recipe you use we recommend using bacon fat or bacon inside the patty to give it a delicious flavor as well as enough fat to make it nice and juicy. 4. Last, but certainly not least, we have to have a good recipe for brats. Hot dogs are good and all, but as far as we are concerned brats are the way to go. This recipe for beer brats made our stomachs sing happy songs. This one is especially useful because you can put any wild game meat you’d like in and the recipe still tastes amazing. We generally have used venison, as that is what we have on hand most often, but also made it with turkey and they came out perfect as well. This recipe does call for Cold Smoke Scotch Ale, and we have found this gives the best overall flavor. However, we’ve also used a few other amber beers we’ve had on hand (like O’Dells Levity) and the brats still tasted pretty darned good. Well folks, that about sums up our favorite recipes. This year we have tons of wild game to use up thanks to our awesome Pro-Tracker tracking system, so if we find any more recipes we will definitely share. Have you got a favorite recipe? Let us know, so we can give it a try! Your Bow: For any bow hunt, your bow is the main event. Make certain you check the limbs for cracks or dents. Even problems are rare, but you’ll want to check your riser for cracks as well. If you notice a problem, it is better the wait for replacement parts than risk a malfunction during your hunt. If you aren’t sure, take in to a dealer or local manufacturer for advice. The String: Not all stings are created equal! If the manufacturer says to wax the string monthly, do it. You will want to check all of your strings for signs of wear and tear. Replace anything that shows damage. Your Arrows: Your arrows see more wear and tear than all of your equipment combined, yet are often the most overlooked piece of your equipment. In fact, most bow hunting injuries stem from faulty arrows. Before you ever shoot an arrow, make sure to inspect it carefully. Pay attention to the points, making certain they are tight. Inspect the fletchings and make certain that the shafts are straight. Your First Aid Kit: Even though you never want anything to happen while you are hunting, make certain that your first aid kit is fully stocked. Tent and Sleeping bag: Even if you think they are in good condition, make certain that your tent poles are all accounted for and in proper working condition. While you are at it, you might as well give you sleeping bag and sleeping gear a once over. The last thing you want to do is think you have a nice cozy shelter only to find out that your kids packed it away wet and you get to smell mildew all night. 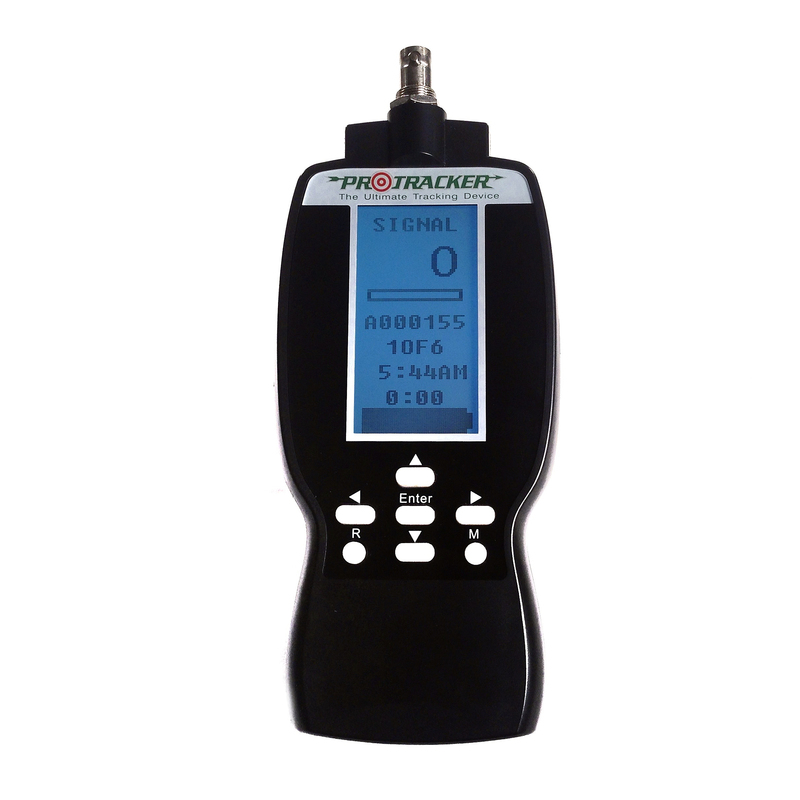 ProTracker System: It is also a goodtime to check your ProTracker system. If you notice the transmitters aren’t recharging, you can quickly order replacement parts. If you are missing any cables or plugs, we have everything you need to make certain your game retrieval equipment is working right, so you are ready for the big day. Thanks to our weekly turkey hunts, it seems that April has slipped into May with hardly any of us noticing. The only thing hinting that we are edging closer to summer is the melting snow and showers causing Idaho to become one giant mud puddle. We refuse to let that damper our moods however; particularly since turkey season here goes until the end of this month. However, even though it isn’t summer time here yet, we’ve already begun to think forward into fall. Why you ask? Well, 1. because during a few of our turkey hunts we’ve run across some pretty awesome sheds, and 2. because we (like many of you) like to get any new hunting equipment by May or June so that we have loads of time to break it in before the fall deer season begins. Therefore, we decided to examine what we feel are necessary items to help make sure you have a safe and happy hunt. Now, there are several ways you can prepare for a hunt. You can use a list from a previous year (most seasoned hunters at this point have this down pat), you can ask a friend for advice if your newer to the hunting world, you can look to the internet for other people’s preferences (like this sweet list your reading now), or you can go online and find a pre-made check list like this one by Gander Mountain. We prefer not to use pre-made lists, because we found that often times the list includes too much and ends up forcing us to haul around unnecessary equipment that only bogs us down. Regardless of where you get your information though, we found most lists (ours included) have these items: A fully charged cell phone, flashlight, lighter, wooden matches, batteries, energy bars, water, a pee bottle, a compass, hunting knife, binoculars, gloves, rain gear, gloves, a hat, and rope. These items should be in every hunters pack along with their hunting license and tags. We aren’t going to explain why you need these items, because they are fairly self explanatory. Rather, we are going to focus on the other items we like to carry in our packs. Whether you prefer to hunt using a tree stand, or hunt using ground cover, a scent eliminator is a necessity. There are hundreds of scent eliminators on the market, and picking the wrong one could cause you your hunt. We love recommendations from other hunters, but as of this moment we like the Scent-A-Way Max spray, though there are tons of ways to eliminate or mask your scent without having to buy a scent eliminator. Since most of us here like tree stands, we also always bring a small collapsible saw. There is nothing more infuriating that seeing a perfect spot, but being unable to set up the way you’d like due to branches. Also infuriating? Falling out of your tree stand because you either failed to bring a tree belt, or failed to put it on properly before you finish setting up in the tree; so don’t be that person: remember the belt. One of our good friends Jim Sullivan forgot his belt one year and fell out of his tree stand causing paralysis. Jim is now in a wheelchair, but still loves to hunt. So if you, or anyone you know, is disabled and still likes to hunt make sure to stop by Jim’s site Accessible Outdoors for tips, tricks and reviews for disabled hunters. Once you’ve got the check-list for the tree stand done, you now get to move on to the fun stuff: calls, lures, and scents. Scents, we feel, are more of a personal preference. Some of us like using mass market scents, like HooDu Deer Attractant, some prefer to use urine, and some of us like using quirky (yet effective) home-made scents like vanilla extract, maple syrup, or peanut butter. No matter your preference, remembering to bring your attractant is key in ensuring a successful hunt. The importance of a good call is also something you never want to overlook; just make sure the call your using suits what you’re looking for. One of our staff swears by the Primos Hunting Speak Easy, while another one prefers the more traditional Extinguisher Deer Call. Regardless of your preference, we recommend you always bring two that way you have not only more options for calls, but a back-up in case one of your calls runs out of batteries or breaks. Finally, the last few things we recommend are just personal preferences. We almost always make sure to take along some toasty toes and hot hands. Idaho whether can be fickle, and we dislike chilly extremities when it can be easily avoided. We also like to bring along surveyors tape because you never know when you might need to mark a path. Last, but not least, we bring our Pro-Tracker, ultimate tracking and recovery system. We know a lot of you might wonder why bringing a Pro-Tracker is necessary, but we can quickly and easily explain. We like bringing the system so on the off-chance our shot goes awry and isn’t a kill shot, we know we are very likely to find the wounded animal. We (of course) will try to follow the blood trail, but we’ve been on far too many hunts where the blood trail run cold or is lost due to inclement weather and we just hate the idea of not only losing a trophy, but leaving an animal wandering around with an injury that is our fault. By bringing the Pro-Tracker system, we can do our best to make sure that if our own personal tracking skills fail, that we still have a good chance of recovery. We hope you guys like our recommendations, and please leave us some recommendations of your own. What items do you swear by or rely on during your hunts? Here in Idaho, our spring turkey season ends later this month. We’ve had an awesome time hunting on weekends, and like many of you, we are admiring our trophies. Unfortunately, as many of you that have been hunting turkey for years have noticed, unless done properly after time your prized beards will begin to fall apart. Some of the beards we don’t mind letting go of, but some (like the beard from our very first tom) are ones we would like preserved for the sake of good memories. Luckily, we’ve found through trial and error (as well as hunting forums) some fool proof ways to help elongate the life of your beards so that they can remind you of memorable hunts for years to come. If that idea seems a bit too complex for your tastes, you also have the option of simply drying the beard in salt or borax, then wrapping the skin end in twine, leather or another preferred material and then dipping it into paraffin or bees wax. This will preserve it for some time, and as long as the beards are held in a place with fairly consistent temperatures they should last a few years. If you like the simplicity of this method, but want to ensure the beards will have a longer life; we recommend that you place them in a clear glass display case. The less the air and elements touch the beards, the longer they will be able to maintain their hairs. If you prefer to keep your beards, but don’t want to necessarily display them one sure fire way we’ve found to preserve them is to dry them in salt or borax, place them in a plastic container, and pop them in the freezer. This method, while effective, may cause concern for those unfamiliar with the importance of preserving a Tom’s trophy beard. Therefore, it is always good to make sure either A. your family is aware of the importance of said trophies and that their presence in the freezer needs to be overlooked, or B. that the beards are placed in a secondary freezer that is either used as a main freezer overflow, or for meat. So, there you have all of the various ways we have found that do a good job at preserving, as well as presenting, your trophies from your turkeys. We hope you guys like them! Do you have a different way to preserve them? Then let us know! We love Colorado, we aren’t going to lie. Huge mountains, big blue sky, the smell of spruce and pine everywhere. This is by far one of our favorite places to hunt. Not only does the changing terrain make it fun and challenging, the trees provide wonderful cover making turkey hunting a breeze. Add in the variety of amazing non-hunting, family friendly entertainment options and you have a perfect blend of family vacation and amazing hunting; which is why this is at the top of our list. The sheer number of turkeys that can be found in Missouri is baffling. Add in the crazy number of turkeys with huge amounts of public lands and you’ve got yourself a perfect turkey hunting cocktail. Hunting here will get you some great birds, while also giving you time to become one with nature in the southern Ozarks; which are well worth the trip to see all by their lonesome. Plus again, Missouri is in the south, so we have to utter those two beautiful words that are a reason to venture south all by themselves: sweet tea. These two are tied for 5th place for us. 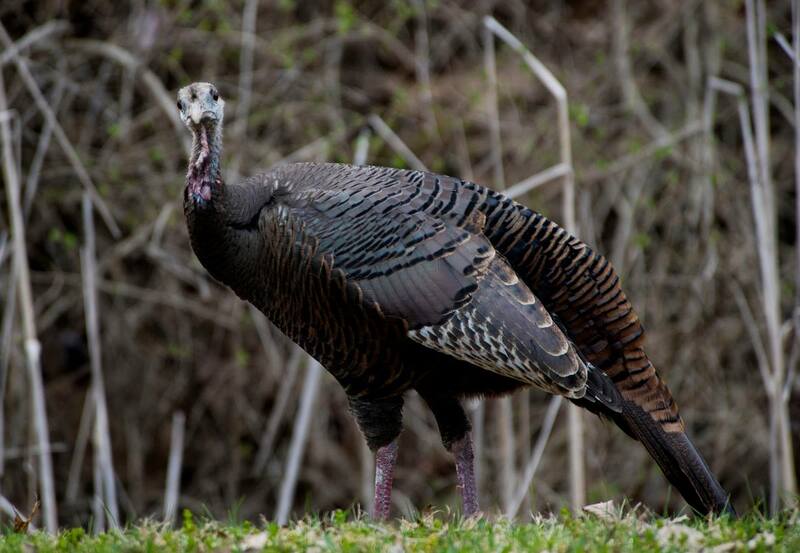 If you’re desirous of an East Coast journey, either of these states will be amazing for turkey hunts. Both boast large populations as well as a large amount of potential hunting areas; be they public or private lodges. Add in the gorgeous scenery and you’ve got yourself one heck of a beautiful place to hunt. The cost of an out-of-state tag for either of these places is fairly comparable at around $100; give or take $20. The only downside here is that, depending on where in the state you decide to hunt, the toll roads may kill you. As people from areas where toll roads are few and far between, the tolls made us cry a little on the inside; though the view made it all worthwhile. Well everyone, spring is in the air. The flowers are in bloom, grass is starting to slowly turn green, the air is heavily scented with lilacs and apple blossoms and all of that means one thing here at Pro-Tracker: it’s time to go hunt us some delicious turkeys. Normally this is an exciting time of the year, but this year will be especially awesome because we get to take a few bowhunting newbies with us. To us, there is nothing more fun that teaching what we know to someone new and watching the excitement of their first hunt, be it turkey or otherwise, bloom across their face. 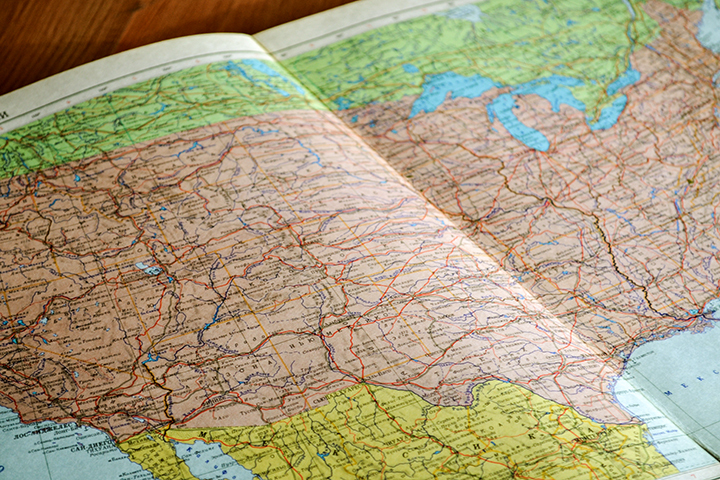 We’ve been going over various trip possibilities, but one we kept coming back to was the idea of hunting out of state. We know many hunters that have licenses and tags in multiple states, and it seems as the years go by the numbers of inter-state hunting are rapidly increasing; as it well should. For those of you who haven’t gone to hunt in a different state, you should most definitely give it a try. There are several pros to hunting out of state. One of the largest pros (in our humble opinion) is the ability to take advantage of the different states hunting seasons. By hunting in different states, we’ve been able to elongate our hunting season by at minimum one month and at most three; depending on the type of animal we are looking for. A perfect example of this is turkey season. Here in Idaho, turkey season begins in mid-April, however if we decided to get a permit in say Florida the season would have already been underway in March. Another reason we love to hunt in different states is we love to see the variations in scenery and also partake in the challenge of hunting in the different terrain. Not only does the ability of tracking and hunting in a variety of terrains and locations make you a overall a more well rounded hunter, the challenges you will face in different areas will make the hunt that much more exciting; and your prize that much more worthwhile when you catch it. In addition to the increased knowledge travel can give you, the different terrains and plants also mean a larger variety in your animals. Since an animal’s taste is largely influenced by its diet, but widening the areas in which you hunt you are opening your palette to some new (sometimes amazing, sometimes gamey) flavors. Now, looking at those pros, we’re sure many of you are thinking, “Well heck yeah, that sounds awesome! So, why don’t more people do it?” The answer is as many things, both simple and complicated, all at the same time. The main reason people opt to not travel across state lines to hunt is the inherent cost. 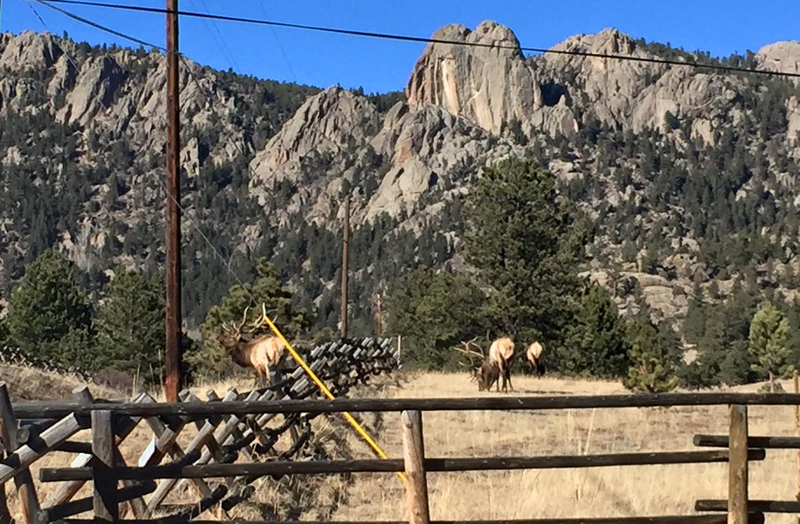 While we love hunting in different states, it can get to be a pretty pricey experience. Not only do you need to cover travel costs, you also have to take into account the cost of whatever tag you have a desire to hunt. In some states, the prices for those are very reasonable for out of state hunters, but in many states being a hunter from out of state is going to make your wallet flinch. The second issue is the availability of tags for out of staters in the state you desire to hunt in. With some animals (like turkey) getting an out of state tag is generally pretty easy; however with other animals (like bear) getting a tag for an out of state person is a difficult process. Looking at both the pros and cons, we are firmly in the camp of traveling to hunt when we can. Not only does the traveling help cure us all of our insatiable wanderlust, but it acts as a mini-vacation as well. There is something about hunting away from home that is instantly soothing and allows us to let all of the stress just ease away that we adore. We don’t always get to hunt out of state, as with all things in life sometimes we can’t afford to go, but when we can we jump at the chance. Fortunately, it seems that many of you bowhunters are agreeing with us. In recent years more and more bowhunters are beginning to cross state lines and taking the opportunity to test their skills across the country. We, for one, couldn’t be more excited. Just don’t forget to bring your Pro-Tracker along with you; sometimes those new environments can throw you for a loop and we want to be with you to help make sure you don’t lose your quarry. The Pro-Tracker system is the new revolutionary way to find and track big game after you have made your prize winning shot. The Pro-Tracker Transmitter connects to your favorite arrow, and you can use any tip. When you fire your arrow, the specialized Pro-Tracker equipment stays in your game. Using your handheld device, you can then find your trophy. The last thing you want to do is lose that deer or elk for which you have been searching for the past few days. 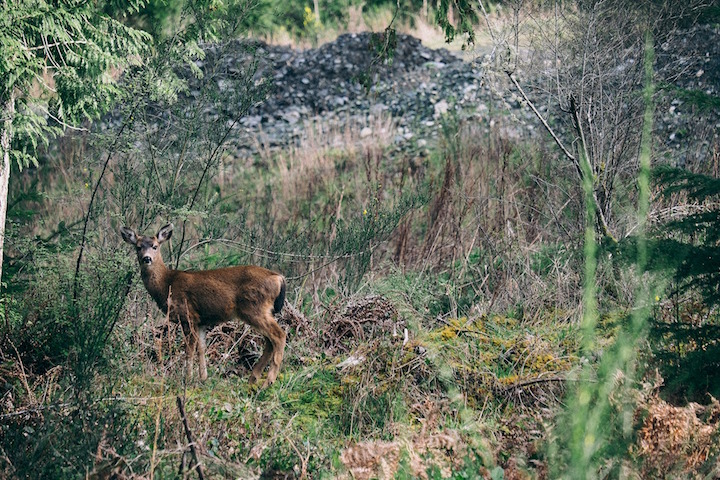 Wounding a deer and never being able to find it is every hunter’s nightmare. With Pro-Tracker, your worries are over. ‡ Indicates states where we believe based on our reading of the State regulations the use of the Pro-Tracker System are prohibited. In no way is this considered to be a legal opinion. You know your arrow flew true, you see your prize deer jump and run, and you feel the hunter shakes set in. After waiting for calmness to return, you know that the true hunt is about to begin. Making the shot is only the beginning, now the work sets in. Your target has run, now you need to verify the hit, and begin to track it down. The last thing you want to do is lose your trophy. 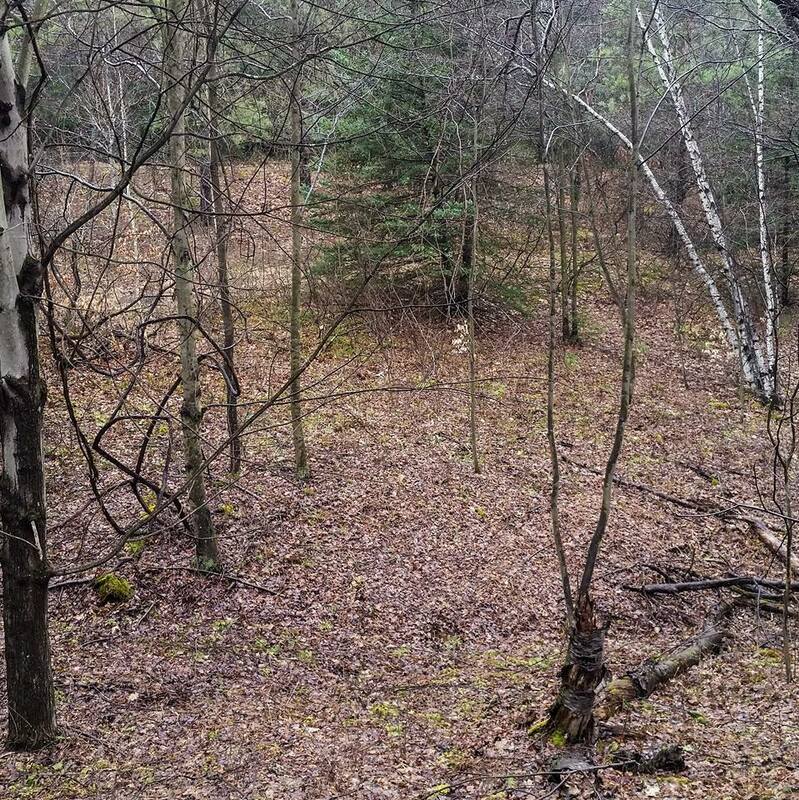 There are methods that will help you find your deer and avoid the terrible feeling of losing what you worked hard to obtain. You know this method; it has been used for centuries. 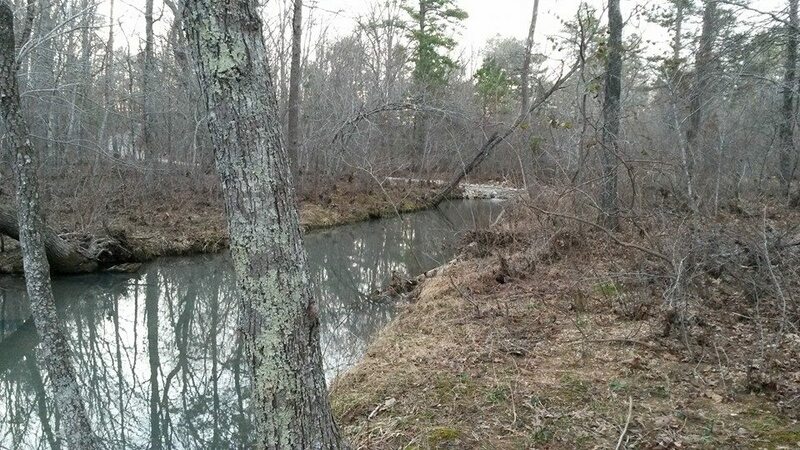 After you have waited long enough to ensure you won’t startle your wounded deer, the first step is take a mental picture of where you shot the deer. Remember that scenery changes as you move closer, so you will want to make certain you have identified precise landmarks. Once you get to the where the deer was hit, you will be able to tell a lot from the blood. If it smells bad, you know you got a gut hit and you will be in for a long tracking. Gut shots take a long time to bleed out. If the blood is pink and frothy your deer has been hit in the lungs and will only run 100-150 yards. After you identify the type of hit, you can begin the search. Make certain you stay to the side of the trail in case you need to backtrack. When you find one blood spot don’t move until you find the next. Sometimes the blood can clot and your blood trail will vanish, if this happens you are going to need to look for broken branches, and footsteps. The complexity of tracking down a hit deer has caused more than a few hunters to pull their hair out in frustration. If this has ever happened to you, there is a better way to find and recover your deer. One of the best things about the Pro-Tracker system is you can connect it to your favorite arrow. That’s right, if you prefer Easton, Carbon Express, Gold Tip, or Cabela’s Outfitters, your new Pro-Tracker System will screw right into the tip. You will only notice a slightest shift in trajectory, but it is easy to adjust your equipment. The Pro-Tracker system comes with two dummies to allow you to practice without fear of damaging the real equipment. 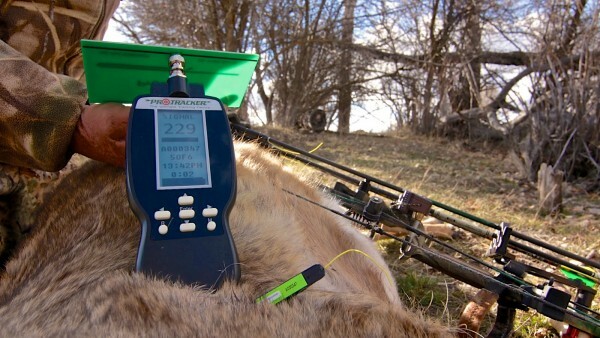 The Pro-Tracker has a transmitter that attaches to the animal’s hide. 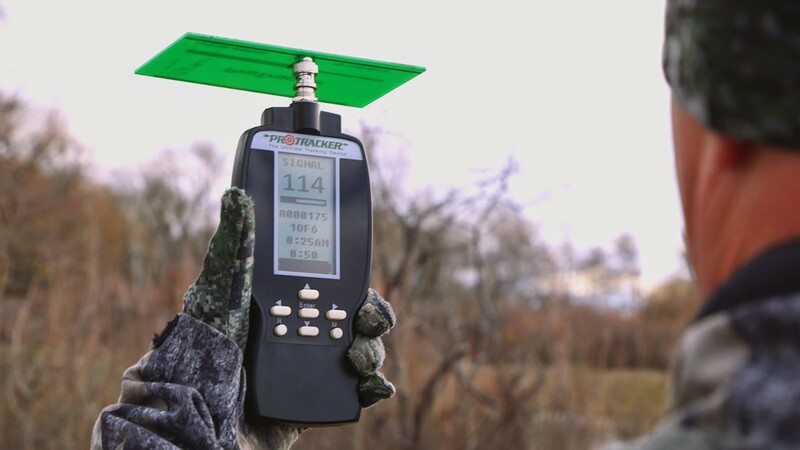 The handheld receiver can pick up the deer no matter where it runs. You will be able to find your deer with pinpoint accuracy. Since the Pro-Tracker is waterproof, this makes tracking in the rain a breeze. The Pro-Tracker system is a revolutionary method that will help you find your fallen trophy ever time. As you guys know from our last blog post, we are crazy excited for turkey season. It’s a little over a month away and we are already making good use of our dummies and scouring the internet for new amazing calls. In all this anticipation though, we realized this was also a perfect teaching opportunity for our resident hunting novice, who has never hunted a turkey. We went over different arrows with her (as you all read in last month’s newsletter), helped her pick out a brand new bow (she chose the Bowtech Carbon Rose), but then we realized we missed a very important lesson: where to aim on a turkey, and more importantly, why. While there are several ways you can hit a turkey, you want to make sure that your shot will incapacitate your bird; poor shots result in a wounded bird escaping and increase the risk that you lose the animal altogether and the animal then dies elsewhere. That is a no win all around, and we felt the best way to avoid that is to discuss the different areas where you can aim that generally lead to a solid kill shot. It should also be mentioned that the type of broadhead you use will also come into play when deciding where to place your arrow. 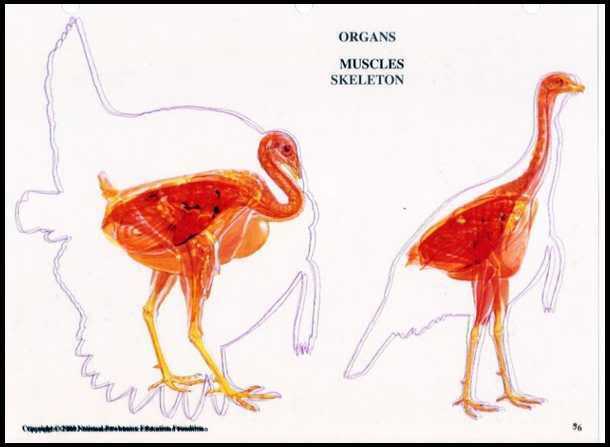 Turkey anatomy is a bit different than most people realize. First, you have to take into consideration that a good portion of the bird is feathers and the body itself is relatively small in comparison to the bird’s overall size. Because of this, the internal organs also sit more towards the bird’s rear and higher than most people would initially guess; making hitting certain spots even more important. One of our favorite, and generally the easiest, ways to make sure you hit a good mark is to hit the turkey in between struts while he is facing away from you. This shot is in most cases fool proof. As long as your aim holds, you will more than likely either snap the turkey’s back (thus preventing flight) or hit a vital organ or two. This position works well for any type of broadhead, but this is also where a mechanical broadhead will definitely shine. Unfortunately, while this is a perfect position for novice hunters, turkeys are rarely compliant and you will more often than not see them strutting. While you can still hit organs when they are in a strut, the feathers make sighting in the right spots much harder. In this instance, it is better to attempt a heart shot by aiming for the turkey’s vent. While we love us some good back shots, we have found turkeys also love to have a good stare down. If you decide that the staring contest has gone on long enough and you want to be declared a winner and have dinner, aim just below where his beard begins. The goal here is to snap the turkey’s neck or hit some major arteries or vitals. 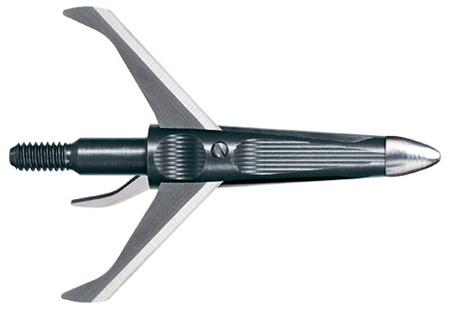 Most mechanical broadheads do a great job in this instance since they have a large cutting diameter when deployed. Fixed broadheads are also a solid broadhead here because they tend to have really great penetrating power which you will need for this shot to be a success. This shot can be a bit tricky though, so practice is definitely your friend here. 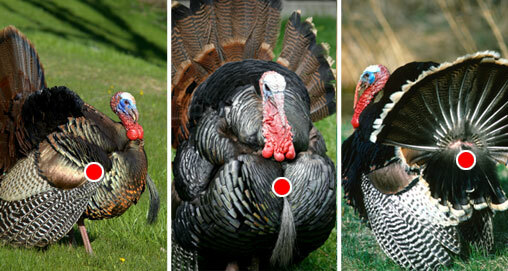 Luckily, in this instance the shot placement is basically the same whether the turkey is strutting or not, but it should also be noted that more often than not this shot will also cut off part of the turkey’s beard, preventing it from becoming a nice trophy. Just keep in mind that the turkey itself is much smaller underneath those feathers and therefore you need to make sure you have a good, tight grouping. 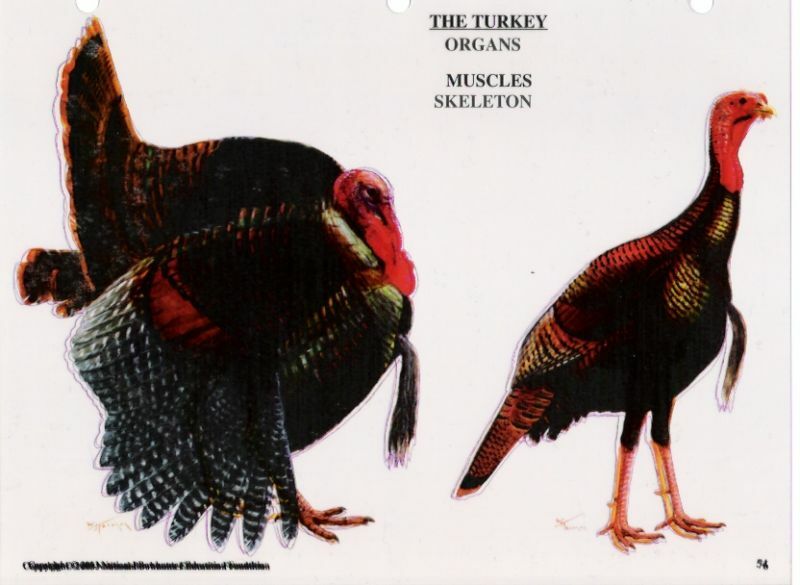 The other thing to keep in mind here is that the turkey’s organs are located near the back of the bird, so you need to make sure your shot has good penetrating power. Some people also use this position as an opportunity to use guillotine type arrowheads, however we prefer to go the more traditional route sans decapitation. Obviously, there are other positions the turkey may be in (like strutting around broadside), but we’ve found that if we wait it out until the turkey settles into one of the positions we mentioned before, we have a much better kill rate and run less risk of the bird running or taking flight. Turkeys can also be tricky in the sense that sometimes even if you do get a lung shot or hit organs, they will still either take flight or flee and the blood trail left behind is very hard to follow. Spine shots are one way to guarantee this won’t happen, though you need lots of good practice in to make sure your aim is solid as the spine while long, is narrow giving you little room for error. Another way to ensure you don’t lose your bird is by using your Pro-Tracker. Our transmitter will hook into the bird the same way it would in an animal hide and prevent losing your prize. 1. Scout out your location. Turkeys can be tricky sometimes and we’ve found the best way to enjoy your hunt is to know what to expect. This means knowing where the divisions between public and private lands are, as well as what the landscape and terrain look like. Turkeys love acorns, so areas with large amounts of Oaks along with low-lying shrubs are perfect areas to begin scouting. If you don’t have oaks, finding an area rife with native plants that have nuts or fruit along with shrubs will be a perfect place to begin. One of our favorite tricks before a hunt is to hop onto Google Earth and check out a good aerial view of the area we are heading to. Not only does this show us a good layout, it helps us determine which areas should give us the best chance of finding a good turkey. Plus, we also love Google Earth because we can then zoom in and get a great up-close ground view and map out key roosting spots and potential terrain issues. Once you get a good aerial, it’s always great to walk the location, but if you don’t have time Google Earth is usually accurate enough. 2. The morning of your trip make sure to check the weather. You want to know not only the norm (sunny, cloudy, etc), but also wind speed and direction. The wind direction will directly influence potential roosting spots and knowing the direction in advance will help you to pinpoint the best locations for success. 3. 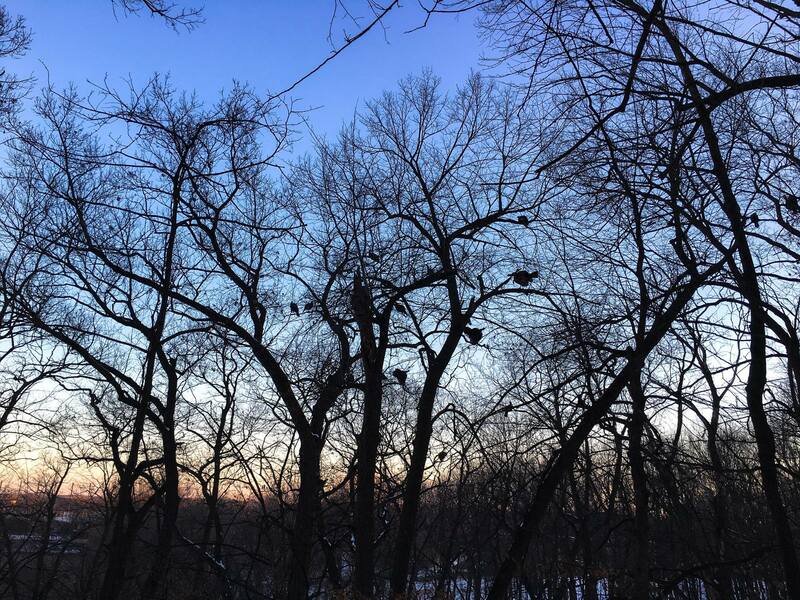 The night before your hunt, you should comb the area and look for the turkey’s roosts for the night, this will help you pinpoint precisely where your hunt should begin the next day. Once you get to your preferred area, do a quick sweep to look for signs of a flock. You should see scratching areas as well as some places with feathers, droppings, and some food remains. Since turkeys shift roosts based on the weather, make sure that the droppings are relatively fresh before setting yourself up to wait on the birds. 4. Pick a good set up location where you have a good sightline, but are still relatively hidden where you don’t mind hanging out for awhile. Sometimes hunts go quick; sometimes you get to hang out waiting for your birds for hours, so getting a spot that is comfy is key. Big trees not only provide a back rest, but also give good wind cover and provide nice shade. Brush piles are also good for concealment, though they tend to be slightly less comfortable than a nice tree. Lastly, you always have the option of a blowdown; whether you can find one or decide to make one yourself. 5. When you do your call, it is always best to make it sound like a flock of turkeys rather than a single one. The turkeys are more likely to respond to a call from multiple birds, plus the more calls, the louder the calls are and also the father they travel; making your hunt that much more likely to be a success. 6. While you’re scouting make a note of the time you notice the birds up and moving, going down to roost, or strutting. If you come back multiple days in a row you might notice a pattern, which can result in better placement for your set up location. 7. Check your gear! Not only do you want it to be in tip-top shape, but you want to make sure it is noiseless. Once you’re geared up, move around a bit; move your arms, legs, bend a few times, heck even take a jump or two. If you can hear it moving, you need to reconsider what you’re wearing. Well, those are all of our favorite tips. Do you guys have any tips or tricks to add? For those of you who are gearing up for your first turkey hunt (here in Idaho ours begins in mid-April), you might be surprised to know that turkeys can be tricky. Not only do they move quickly, but their plumage could rival a medieval knight’s armor when it comes to blocking arrows. Couple that with the need to release a shot with just enough finesse to hit the right arteries and vitals (sign up for our March newsletter for more on this), the needs to have just the perfect estimation of yardage, and you have a recipe for one gargantuan gobbling conundrum. 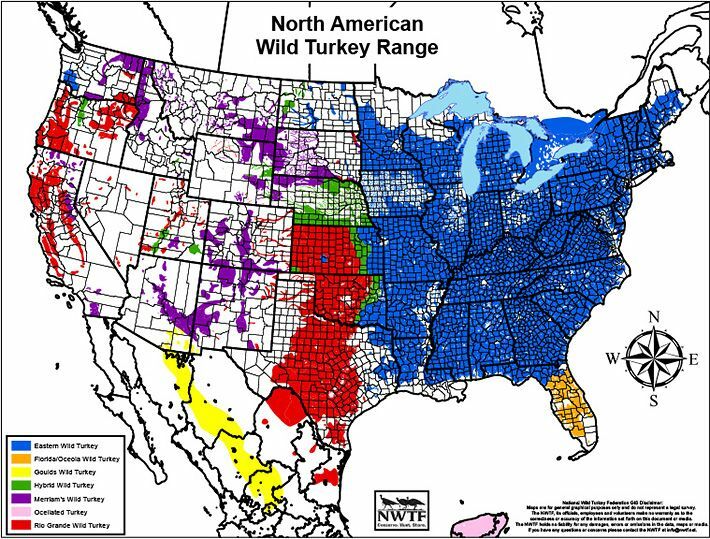 Luckily for all of us hunters we are a smart community who learn as we go and love to share our knowledge with the world; resulting in lots of knowledge about how to bring home a delicious wild turkey. Now, we all know how imperative it is to aim your shot correctly, to pull the correct draw weight, and (particularly with animals that like to flee swiftly or fly like our feathered friends) to emit the correct force to penetrate that pin-feather armor to hit the soft spots underneath. However, before you can worry about where you’re hitting and the force you need, you have to find the perfect something that can penetrate that tricky hide: your arrowhead. We, like many of you in the hunting community, are split as to whether a mechanical or a fixed braodhead is better for hunting a turkey. So, we decided to start off our awesome Talkin ‘Bout Turkeys blog series, we would check out the pros and cons for each to help see if we could determine if one was, in fact, better than the other. To start off, let’s check out the stats on our fixed broadheads. With a fixed broadhead, you have the advantage that there is no risk on the arrow deploying improperly if the impact angle or necessary force are wrong. 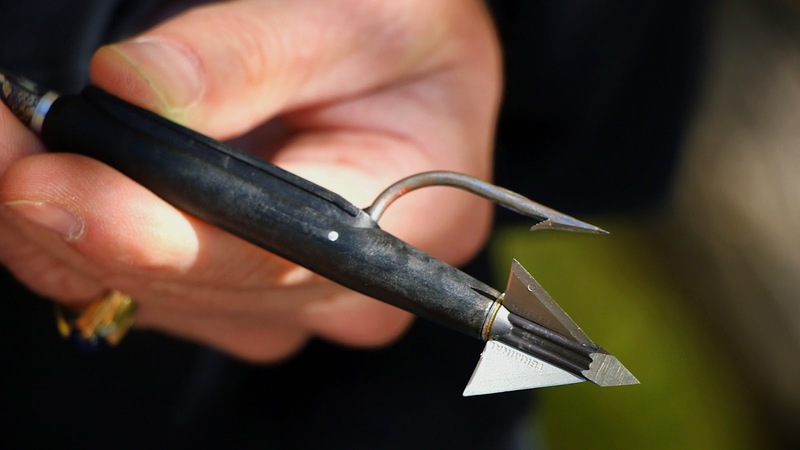 Fixed broadheads can also be just as accurate and deadly as their mechanical counterpoints, but they will also enhance any issues you might have if your bow isn’t tuned properly often resulting in either a poor or missed shot. There is also a potential with a fixed broadhead for the head itself to break off if you hit bone, but they generally survive a rib or shoulder blade impact better than their mechanical friends. The biggest advantage of a fixed broadhead though, is that since they have been around longer than the mechanical broadheads you generally have a wider range of selection when it comes to arrow size and diameter coupled with lots stability and reliability as well. Grim Reaper Hades broadhead. You can purchase this here. 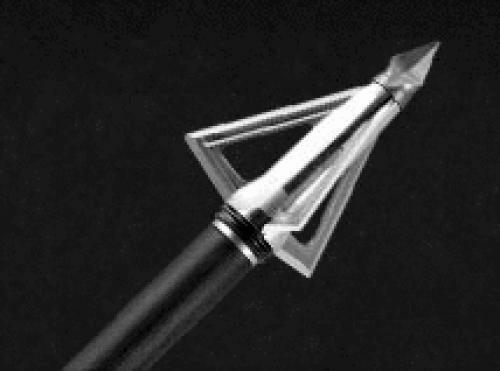 Now tolook at the other side of the coin and examine the pros and cons of a mechanical broadhead. Mechanicals often provide a larger cutting diameter, which means with turkeys in particular that you are more likely to hit the correct arteries and soft tissues to ensure you drop your bird. The mechanical broadheads also tend to lessen any issues that might have otherwise stemmed from a bow that isn’t perfectly tuned. The blades in a mechanical broadhead can be larger since they will not fully deploy on impact, ensuring the size of the blades don’t hinder the shot. Unfortuntately, there is no guarantee that the blades will open properly, particularly if the impact angle is off. Another issue is that in order to open the blades, force is pulled from the arrow itself lessening the overall power of the shot (though this is generally fairly negligible overall). If you happen to hit ribs, or bone these arrows are more likely to break or have damage that prevents the blades from opening fully. The larger cutting diameter, while a great benefit, can also be a hindrance since it increases the potential of hitting bone. Spitfire Gobbler Getter. You can purchase this here. Now that we’ve looked at the pros and cons, we have to admit we are still split. Though, after several discussions we did manage to (grudgingly) get the fixed broadhead supporters to admit there are some definite pluses to the mechanical heads, and vice versa for our mechanical broadhead lovers. We decided (at the moment, based solely on the pros and cons) that a mechanical just might surpass the fixed ever-so-slightly when it comes to turkeys, but that we wanted to try hunting with both this season to see what we thought out in the field. 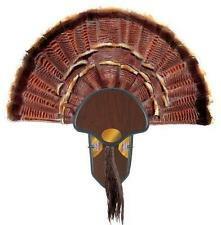 So let us know what you guys think: Are fixed or mechanicals better for turkeys? Also, what are your favorite brands to shoot? One of the most common questions we are asked is “How will the Pro-Tracker affect my arrows speed/penetration?” More often than not, out of respect for your time, we generally give a quick reply and leave it at that. However, after speaking with a few of you, we decided that you deserved a more in depth explanation of how it will affect your shot overall. The easiest way to do this is to actually look at kinetics and momentum and how each affects your shot. When we sat down at our company meeting and explained that we wanted to go over this, our resident aficionado of all things both geeky and filled with science stood up, started pointing at herself and proudly stated, “Ooh, Ooh, the force is strong with this one!” which the rest of us assumed meant she really wanted to write this piece; so we let her. As anyone that loves physics knows there are tons of variables that can affect your shot. Your shot can be hindered by friction, outside elements, the tension in your string, and every single one of these may be small but can mean the difference between a perfect shot and a near miss. Each one of these factors could have an entire article written on its importance, but for this specific piece we’re focusing only on arrow weight and its effect on both the arrow’s speed and its penetration. In general, most people assume that when it comes to an arrow that faster is unequivocally better; and in some cases they may be right, but not necessarily in all cases. In order to reinforce this, we decided it would be best to look into not only personal knowledge, but outside resources to help us explain properly. Of all the articles we found, this one by Carbon Arrow University had the most complete explanation and even included field test results. Basically, they explain that the speed at which an arrow travels has an inverse relationship with the mass of the arrow; therefore, a heavier arrow will in turn be slower than a lighter arrow. This is because the lighter weight allows for faster acceleration, which also causes the arrow to hold its trajectory better and lets off a faster shot. Since lighter arrows hold their trajectory better, this also allows for a bit more forgiveness when it comes to your yardage estimations during a shot. These factors are often what often cause hunters to automatically state that a faster arrow is the way to go, but a heavier arrow has quite a few perks as well. One thing many people do not realize is that bows actually transfer energy more efficiently to heavier arrows as opposed to lighter ones. This energy transfer results in more momentum, therefore giving the arrow itself more knockdown power than its lighter counterparts. Not only do heavier arrows have more knockdown power, but the add momentum they receive means that it takes longer for the arrow itself to slow; resulting in deeper penetration. Another added benefit of a heavier arrow is noise level; a heavier arrow is much quieter than a lighter one because the added speed of a light arrow disturbs a larger amount of the surrounding air one the arrow is released. Now, knowing that heavier arrows penetrate more, we can go ahead and look back at the initial question of whether speed or penetration is more important and the answer we came up with is…..they are equally important! The reason we decided this is because you can make a determination on what is more necessary based on what you are hunting. If you’re hunting a turkey, it may be preferable to shoot a lighter, faster arrow in order to help avoid a miss due to the animal jumping your shot. However, if you’re hunting an animal that is larger or may have a thicker hide, a heavier arrow with more power behind it would be preferable to a quick shot. We actually prefer a mid-weight arrow so that we can have the benefits of both speed and a bit more penetrating power. When you add in our Pro-Tracker transmitter you come up with about 100 grains of additional weight. Luckily we found that if you shorten your arrow shaft by 3 ¼ inches that when the Pro-tracker extension is added the arrow length remains the same and also compensates for the weight of the transmitter ensuring your spline is not affected. Overall, you’re arrow’s weight is minimally affected, but the transmitter will still give you a bit more oomph in your shots giving added penetrating power. 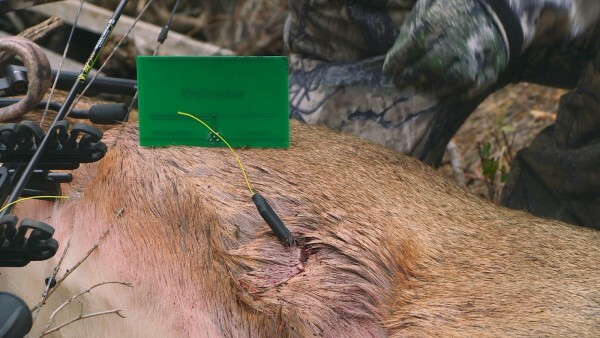 This extra penetrating power, coupled with the barb on our transmitter, ensure that the not only will the arrow itself have deeper overall penetration, but that the transmitter will embed firmly in the animals hide, resulting in the system’s ability to help you track and find your animal. So all that we have left to say is hooray for science and we hope this helped some of you understand a little bit better how a Pro-tracker would affect your shot. 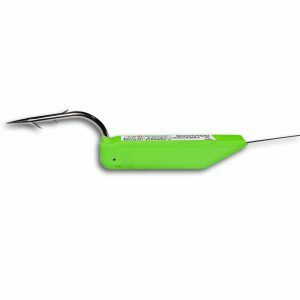 A lighted nock is precisely what it sounds like. They are nocks you attach to your arrow that, once released, cause the nock to light up allowing you to visibly follow the path of your arrow and monitor where your shot hit the animal; they also make finding pass-through or missed arrows much easier. Lighted nocks are most useful in more low-light hunting conditions; such as early morning or late evenings where tracking your arrow’s flight can be a bit more difficult. For a long time, lighted nocks were an area of archery that was rife with debate and tension. Many hunters wanted them, while many states regulations said no (however, for 2016 Oregon is no longer in the “no” category and all we can say is woo-hoo). In recent years more and more states have begun to allow the use of lighted nocks, causing the amount of debates to decrease, yet some states still have them listed in the illegal equipment sections of their hunting regulations. Now, many of you hunters already know this, which begs the question of why we are writing this article. Is it to show our support for lighted nocks? Is it to draw attention to the fact that some states still have then banned? Is it because lighted nocks can come in some pretty awesome colors and watching them fly makes you feel like an bow hunting Jedi? The answer to that is no…except for maybe the last one because on occasion when practicing we do make a few light saber noises. What prompted this article is the knowledge that one of our staff is new to hunting and while cruising through Google one afternoon, came across a few comparison articles for various brands of lighted nocks, and proceeded to point at the screen and demand, “Explain the thing.” We decided not only to explain for her benefit, but also for the benefit of any other individuals who are either new to hunting or curious about lighted nocks in general. 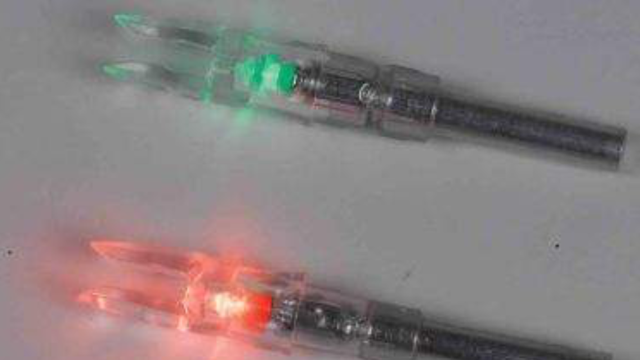 As we mentioned before lighted nocks are just arrow nocks that light up upon the arrows release. We found them to be beneficial, particularly for newer hunters, as it makes it very obvious if you not only hit your mark but also where the shot connected which lets you know not only A. If the shot you made was a solid shot, and B. If you hit the targeted area, or if you connected in a less than desirable location. The knowledge of the area of penetration can help you determine the best methods with which to track the animal. The concept of a lighted nock is very cut and dry, the confusion seems to erupt when one is faced with not only the large variety or brands, but also they variety in connection types and their effectiveness. The connection type that seems to be preferred by most hunters we have spoken are the ones where a completed circuit causes the nock to illuminate. This is seen in Lumenock and Carbon Express brand nocks where the force of the arrows release from the bow causes the nock to push into the arrow’s shaft resulting a completed circuit and wonderful glowing nock. Both Firenock and G-5 G-force nocks rely on force to activate the light, though Firenock’s relies on the arrows forward momentum and the G5 relies on centrifugal force. Finally, you have nocks that are activated via magnet, like Easton Tracer Arrows. 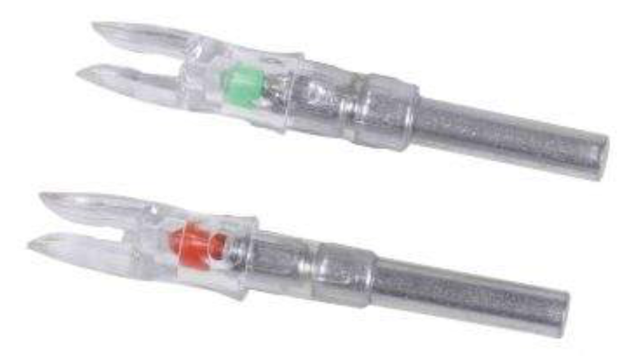 With these the nock passes through a magnet, which triggers the nock’s light. From our experience, the type of connection seen with the Lumenock and Carbon Express arrows is the most reliable; however, we also respect that each hunter has his own preferences as well. She is currently still researching which type she would like to try, though she did mention she was leaning towards either the Lumenock or Firenock. When we asked her why, she replied that they had the longest battery life, were also the most recommended on various forums, and that the Firenock “comes in pretty colors.” Though she did request that we see what feedback she can get from all of you to ensure she makes an educated decision. So, that bears the question: Which brand do you prefer and why? As hunters there is nothing we love more than wild game. The satisfaction that you have used blood, sweat, and occasional tears to fill your families table gives you a sense of pride that is nigh unmatched. Every time you bag a buck, you give yourself a rousing pat on the back, clean it, and load it up to be taken home anticipating all of the delicious meals it will make along the way. For any type of game, there are given rules for prepping these delicacies that have been passed from parent to child for generations: double check to make sure you got all of the feathers, don’t overcook your game etc. Yet it seems sometimes those rules are made to be broken. For as long as we can recall, we were informed that you should always trim deer fat. We were under the assumption that deer fat had a bad flavor and went rancid quickly, therefore fat should be either left for wild animals to claim or used in some other manner. However, after stumbling across an article by David Draper on the Field & Stream blog, we began to wonder: Does deer fat make the meat taste gamey? In order to help us answer this question, we sought out the blog post by Hank Shaw that inspired Draper’s post. In Shaw’s article he explains that, as with all game animals, there will always be a variation of flavor based on both the region and that specific animal’s dietary preferences. That being said, Shaw goes on to explain that since deer are ruminants they have a much narrower diet than many game animals; causing their flavor range to be narrower as well. While the flavor range will be narrower, however, a deer that eats more acorns or lives in an area with a larger variety of grains will taste better than one in an environment with a sparser food supply (Shaw, 2014). In Shaw’s post, he explains that while he will use the caul (the fat surrounding the intestines) in certain recipes, he does not use the suet (the fat surrounding the kidneys). He explains that the fat in areas where there are little working muscles is much harder than the fat over top the working muscle groups. 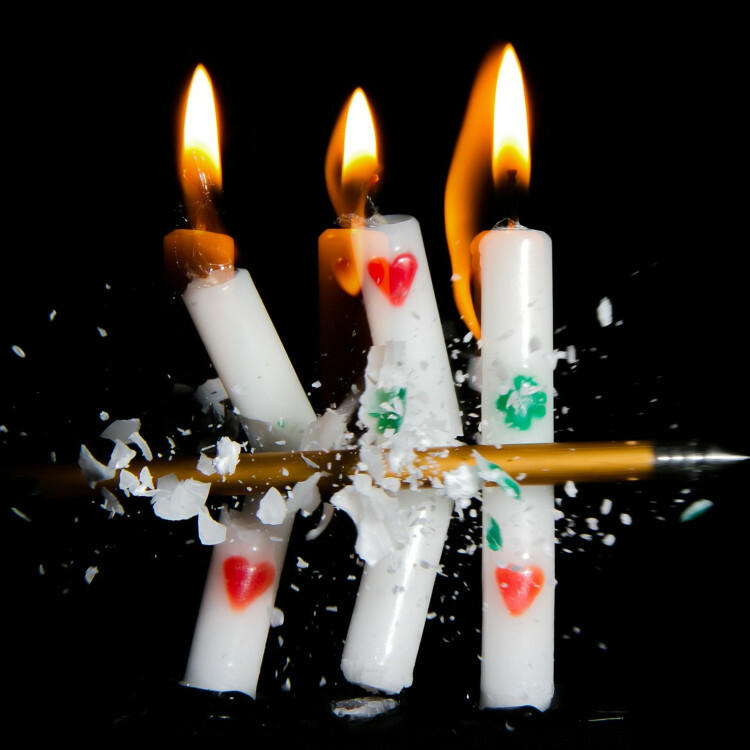 Luckily for us, birds love suet and it also makes amazing candles and soaps. Shaw does use the fat in muscular areas (like the hind quarters) to cook with. He explains that deer fats are very high in Omega 3’s, thanks to their diet, and are also thought to have the highest level of stearic acid in any food animal. Deer fat has a higher amount of saturated fat than you would find in deer, pork, or lamb, which initially may worry people. Yet, there are different types of saturated fats, and the saturated fat found in deer is the healthy type. Plus, the stearic acid decreases bad cholesterol levels and might even increase good cholesterol levels; though the latter has yet to be proven (Shaw, 2014). Shaw does go into detail about how the deer must be treated in order for the fat to taste good and to prevent it from going rancid (essentially, it has to be below freezing; otherwise the Omega 3s cause the fat to oxidize, which makes it go rancid quickly). He also has a check list to follow to ensure your deer fat is tasty. The one drawback Shaw mentioned was the fact that the stearic acid causes the fat to coat your mouth; which can be off-putting (Shaw, 2014). Using Shaw’s guidelines, we decided to test out whether or not leaving deer fat on worked for us. In order to try this, we enlisted the help of one of our staff members who loves to cook. She opted to make a venison roast as “it’s chilly out and that’s some darned good comfort food,” and here is what she decided. We did trim the fat to a point, so that we wouldn’t have an overly fatty roast. When it was cooking it smelled amazing. The fat did give a really nice flavor to the roast, it definitely classified as one of the best roasts I’ve made yet. My husband thought it was absolutely fantastic and went back for seconds. The stearic acid definitely left a flavor coating in your mouth. Shaw mentioned in his article he sometimes uses red wine to help with that, and luckily we had a nice Malbec on hand. It did help somewhat. So in conclusion, we have decided cooking with deer fat does have a huge impact on the flavor. Overall the flavor is fantastic if the deer comes from an area where there are good, flavorful things for it to eat. However, our staff member did say that while her husband had no issue with the feel the fat left in his mouth, she really was not a fan and would likely trim the fat for that reason. What are your thoughts on this? Are you guys pro deer fat or con deer fat? As a bow hunter, we appreciate the skill required to take an animal. We enjoy the smell of fresh air and the morning chill that seeps into your bones as you sit quietly and wait for an animal to wander into view. We understand the importance of a steady hand and careful aim; there is no feeling better than letting that arrow fly and hitting your mark. As bow hunters, we also understand the frustration when your perfectly aimed shot seems to go awry (i.e. hitting a branch or an unexpected object). If you miss, you go find your arrow and try again. If you wound your animal you can spend hours or days tracking the blood trail, hoping the weather holds until you find your kill. The sad fact though, is that while many times you will find your quarry, there are just as many times that an animal is unrecovered. Looking back, you will find studies related to deer loss rates in bow hunting dating back to 1989 or earlier. When the studies first began, the amount of animals wounded and lost is almost astounding, but as bow hunting equipment has improved, the number of animal losses has decreased substantially. Unfortunately, even with these decreases, the ratio of unrecovered animals is still causing concern within the bow hunting community and general public. We wanted to look deeper into deer loss rates, and focused on information obtained in two of the better known studies done by Stephen S. Ditchkoff et al and M. Andy Pedersen at al. One study found that of 104 bow hunters, there was an 18% wounding rate. Within a normal hunting season these hunters hit a total of 908 white tail deer, recovering only 746 (Pedersen et al 2008). In another study, it was determined that there was a 50% wounding rate and of that number 14% weren’t recovered. Of these deer 4% died annually from these wounds, while the rest survived (Ditchkoff et al. 1998). In the reports, we found that while many of the deer either die (Ditchkoff) or are recovered within 24 hours (Pedersen), that some can survive 5-7 days with wounds before they perish. When looking at these numbers and percentages for any individual state, the number of animals that are not recovered seems miniscule. However once you look at the entire population of bow hunters within the United States alone, the amount becomes much more significant (Ditchkoff). This more significant number of unrecovered animals has been causing animal rights and anti-hunting activists to state that bow hunting is both cruel and inhumane. It is because of this that the Pro-Tracker was invented. Our goal is to eliminate the possibility of losing even one animal while maintaining the integrity of the hunt. Pro-Tracker has been in use since 2010 and thus far we have a 100% accuracy rate in animal recovery. The Pro-Tracker system, while not ideal for every hunter, is thus far supporting the goal of striving to ensure bow hunting is appreciated for the skill it requires and given the support it deserves, rather than seen in a negative light. With technology and advancement in the archery industry, we can help in recovering the animals wounded and work to improve the loss rate. We all have a responsibility to the natural resources we are given; no one is perfect every time. Accidents do happen, and we need to be prepared for those occasions. 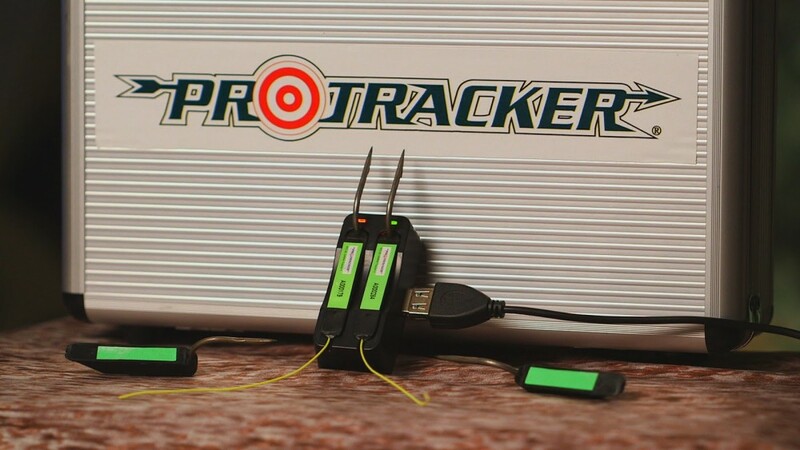 The Pro-Tracker Archery Tracking System easily screws into your arrow of choice. The transmitter attaches itself to the your animals hide with the hook and starts transmitting its’ radio frequency signal immediately to the Pro-Tracker receiver. This video will show you how to install the transmitter into the carrier on your arrow.